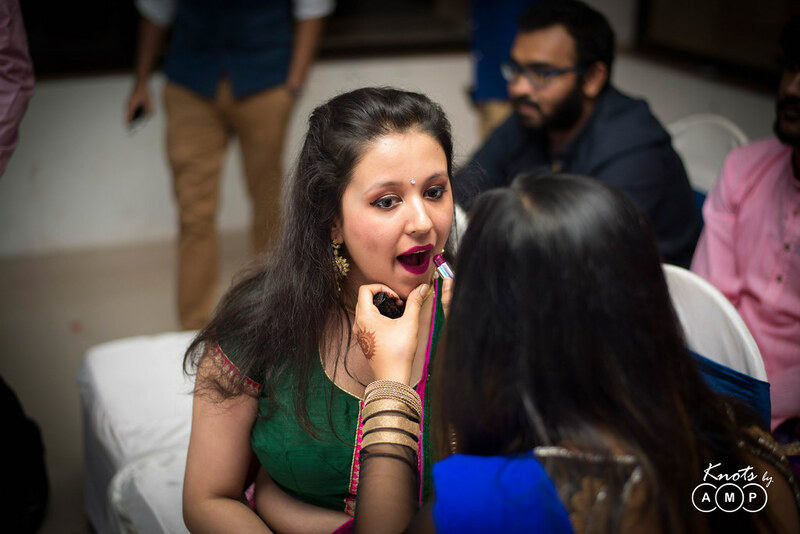 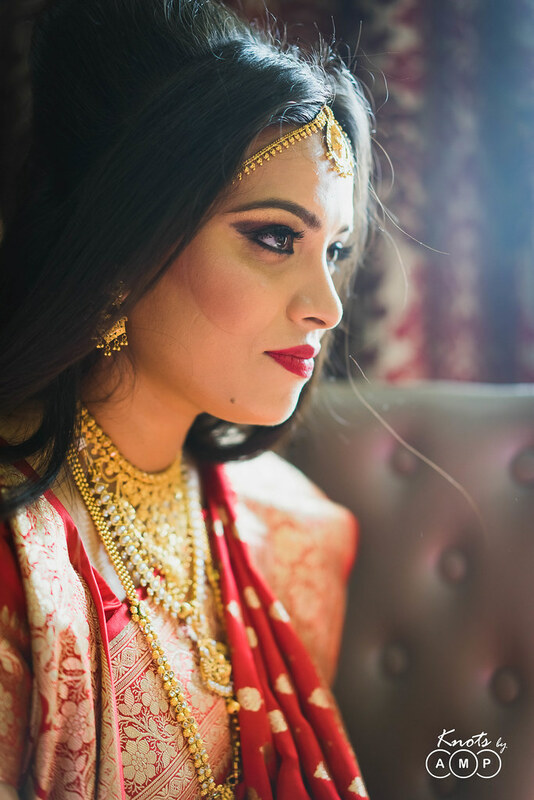 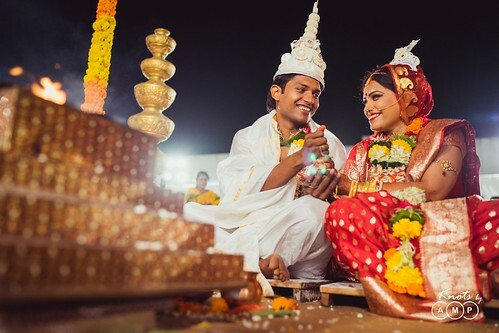 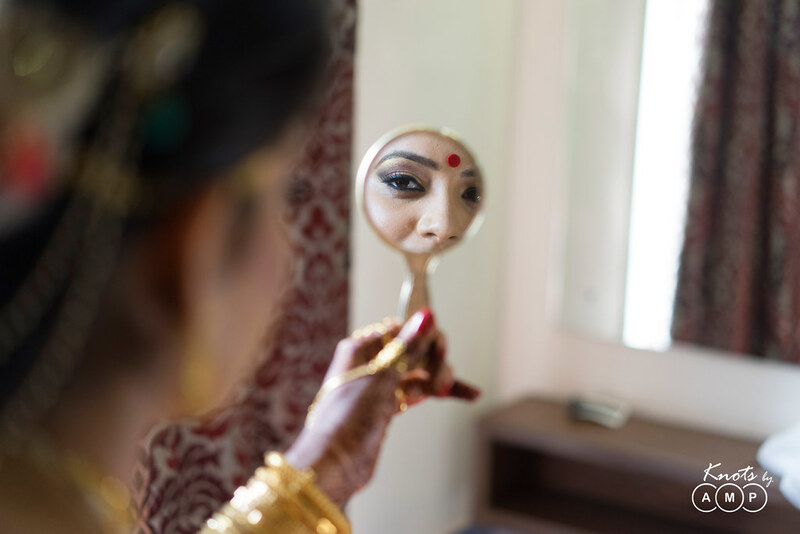 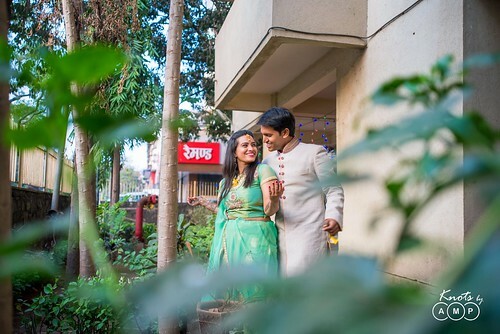 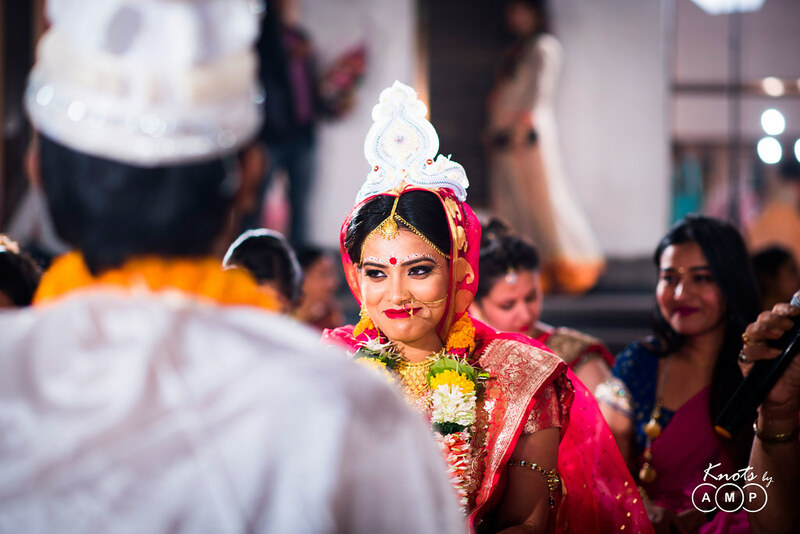 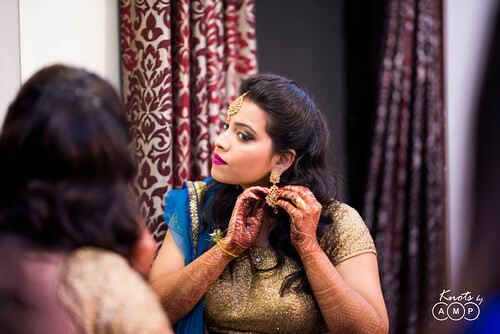 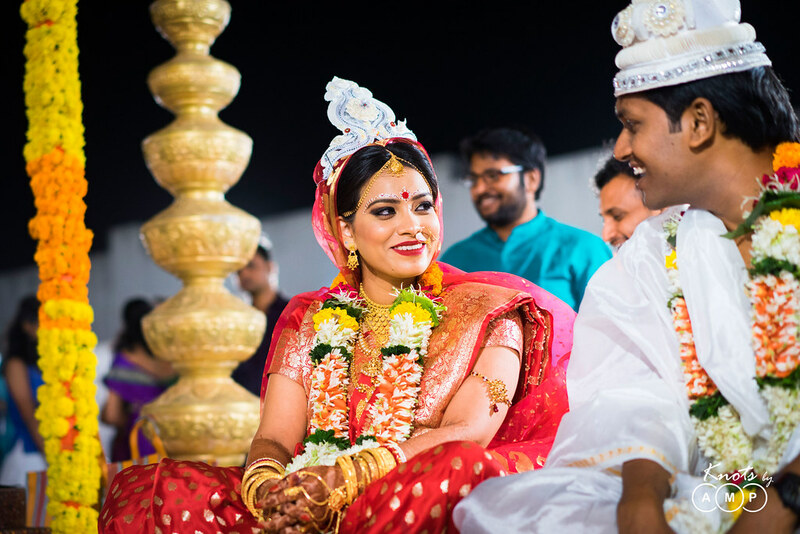 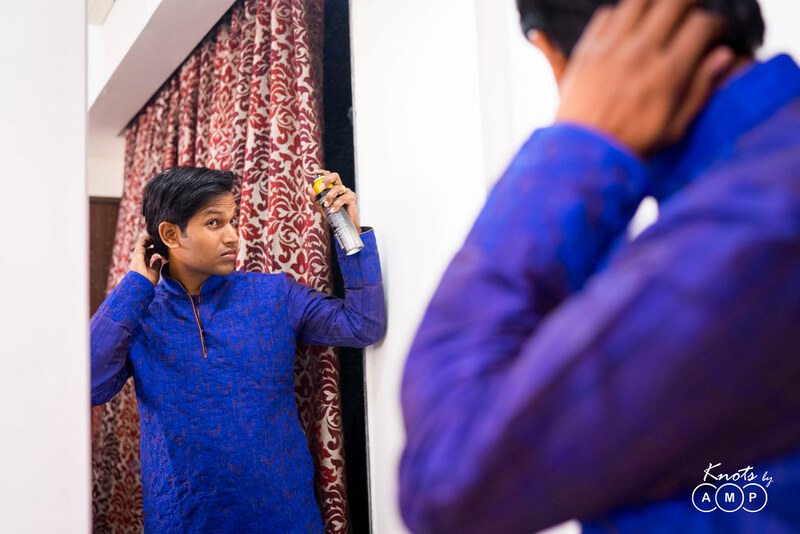 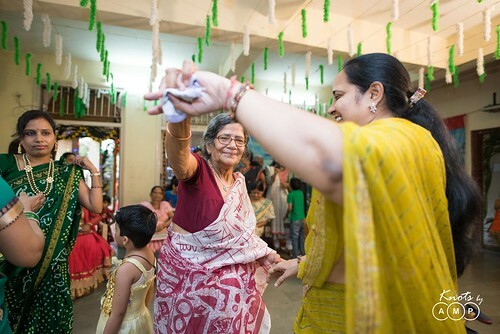 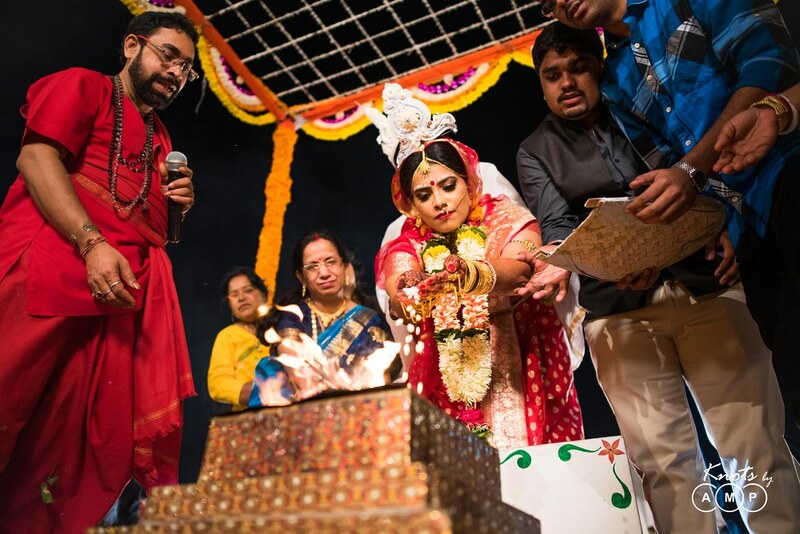 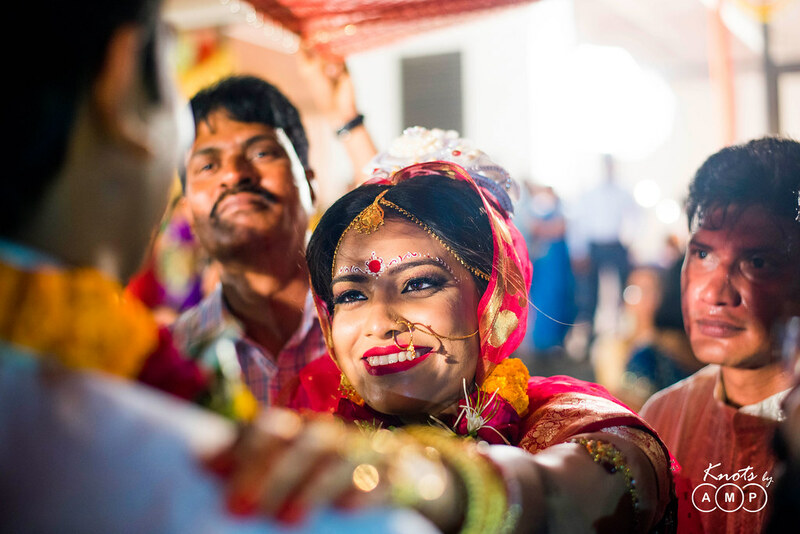 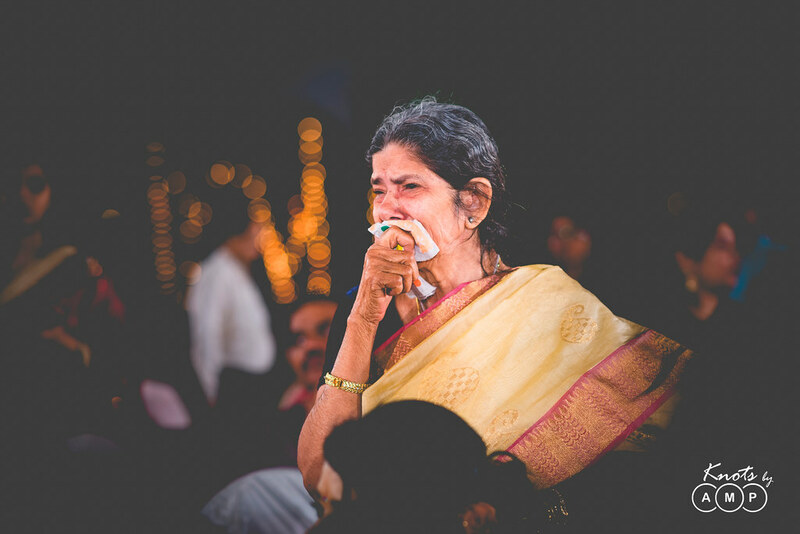 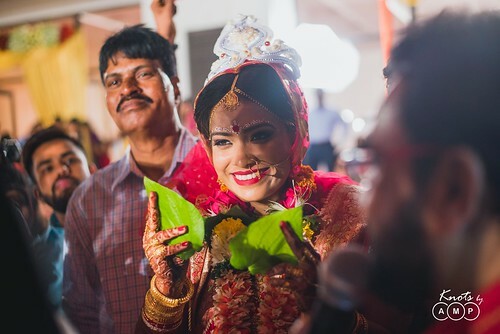 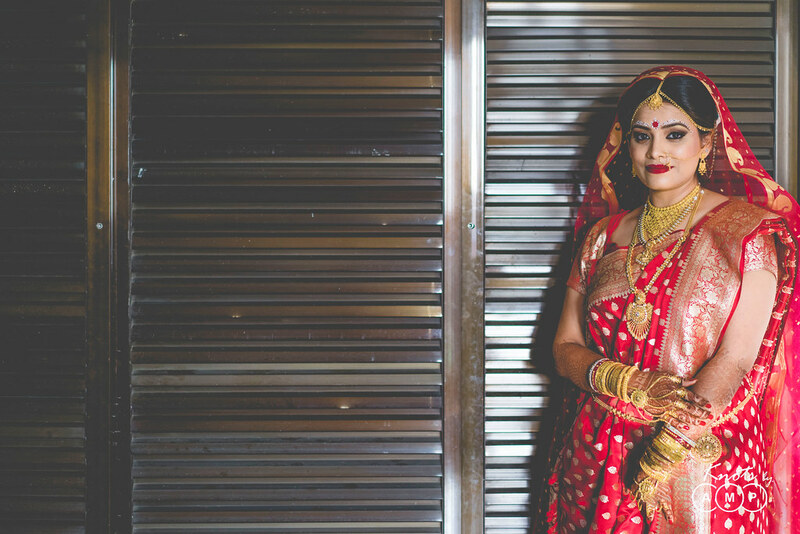 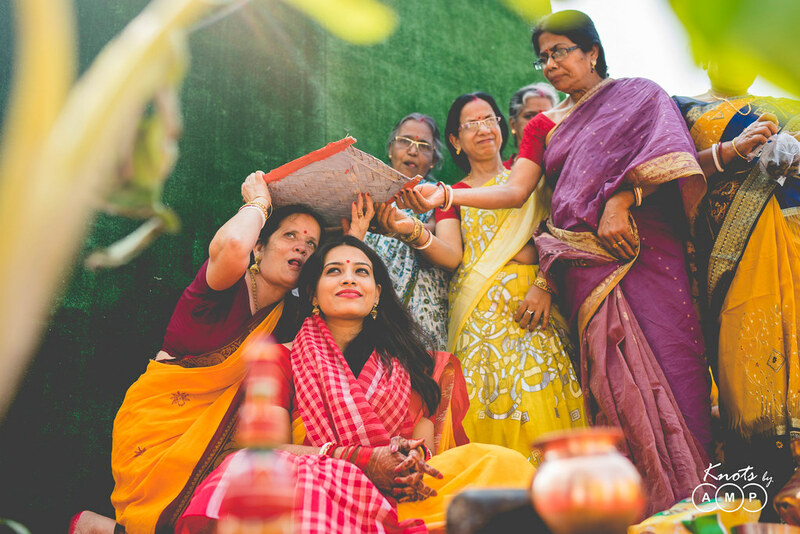 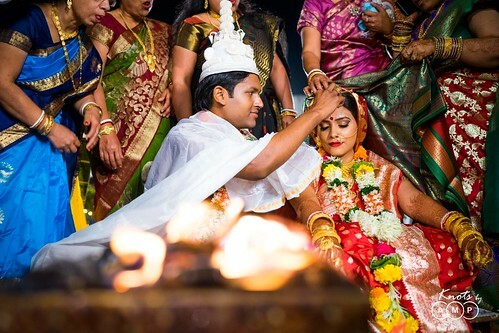 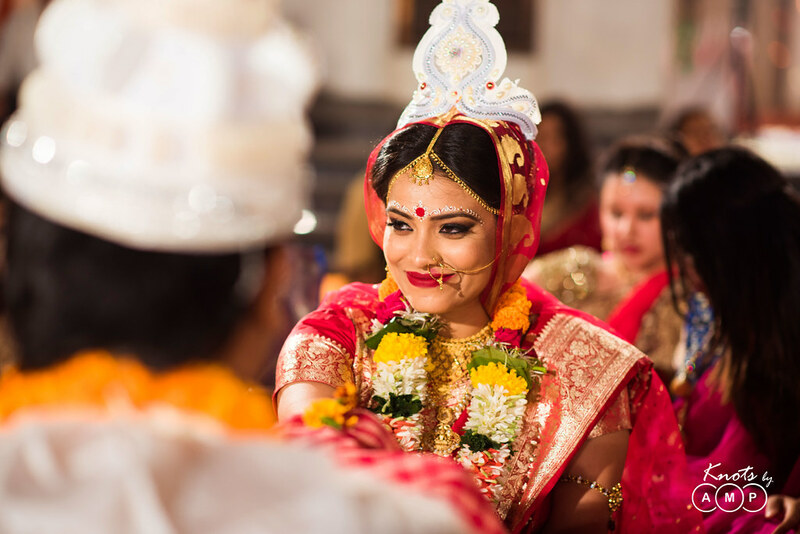 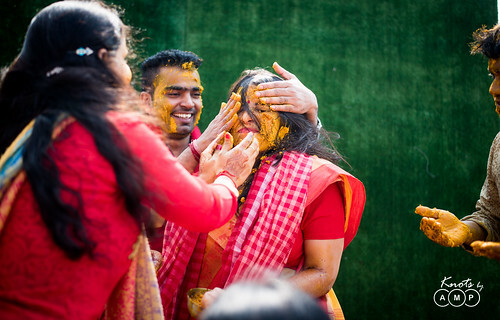 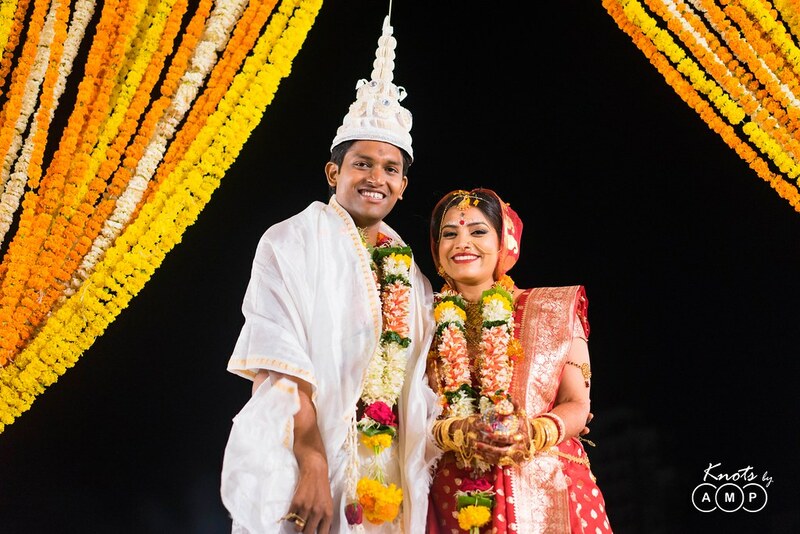 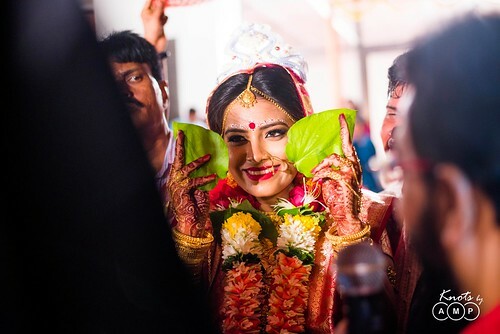 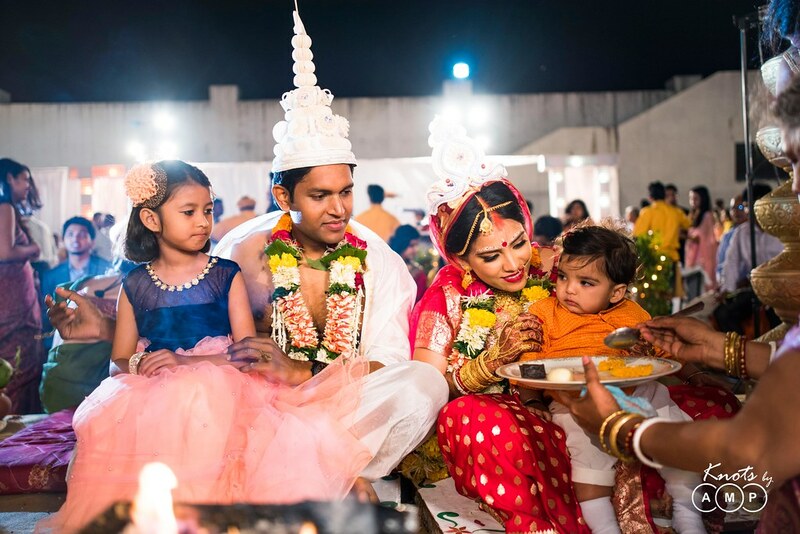 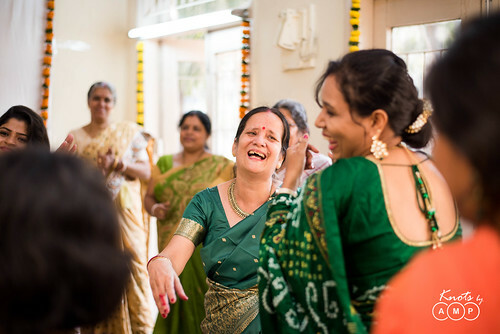 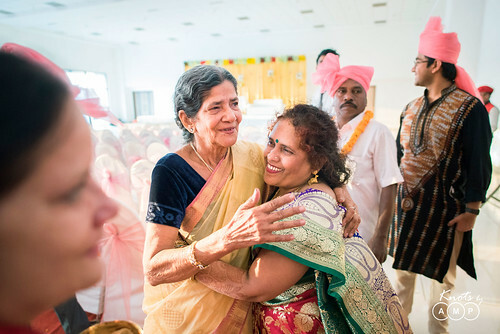 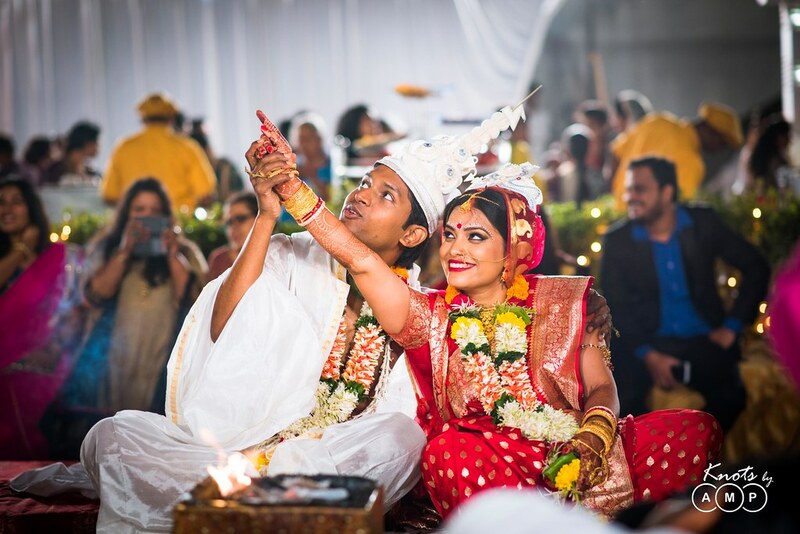 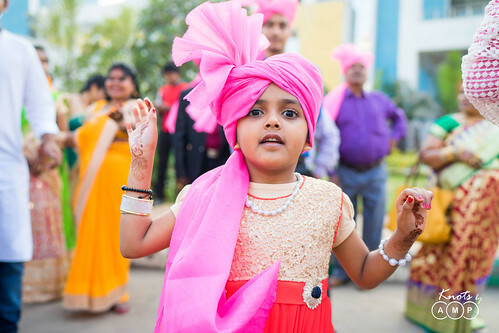 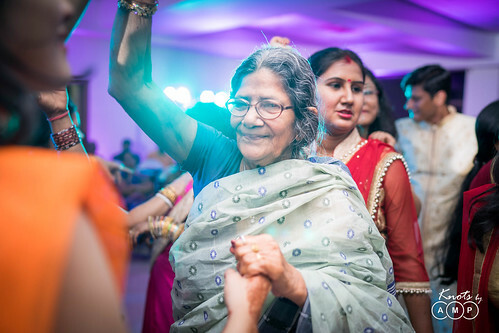 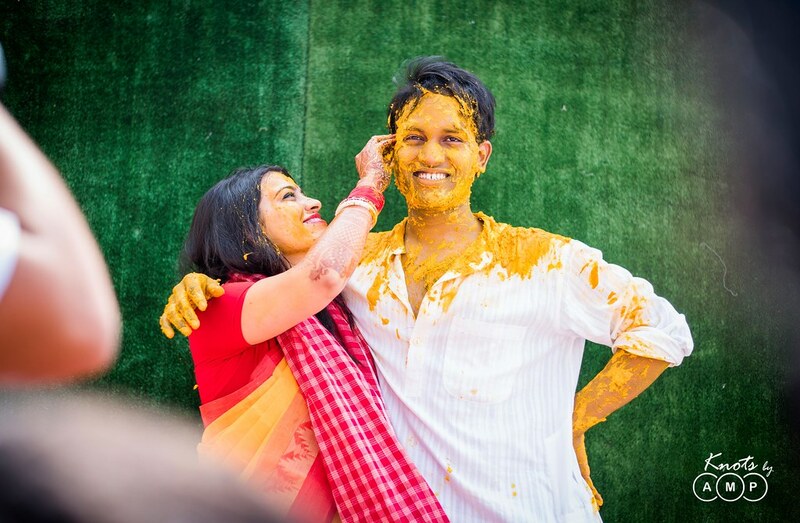 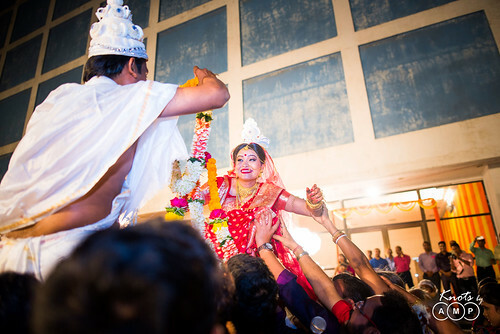 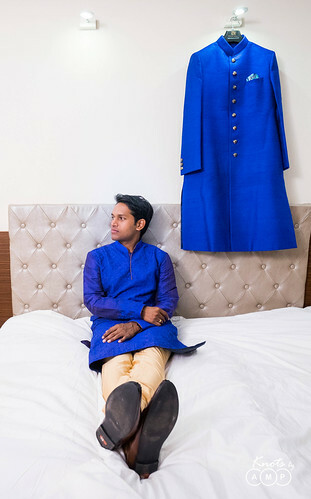 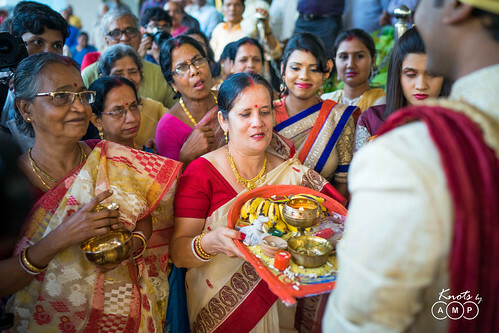 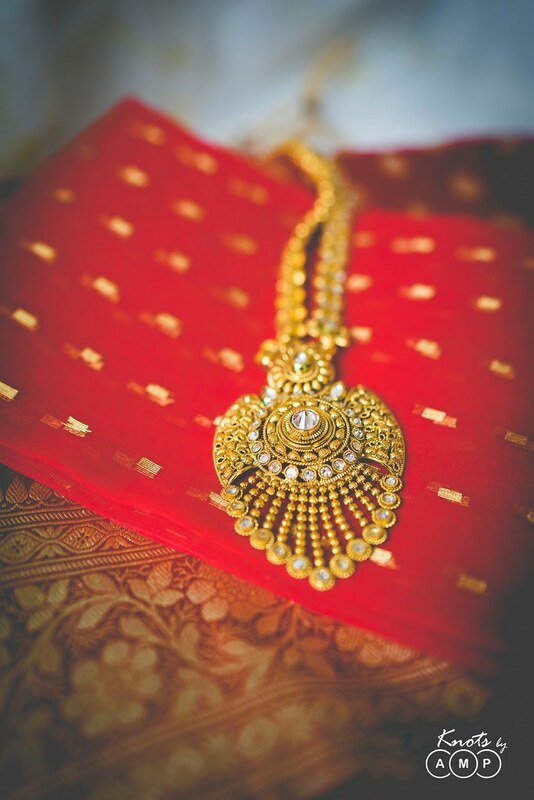 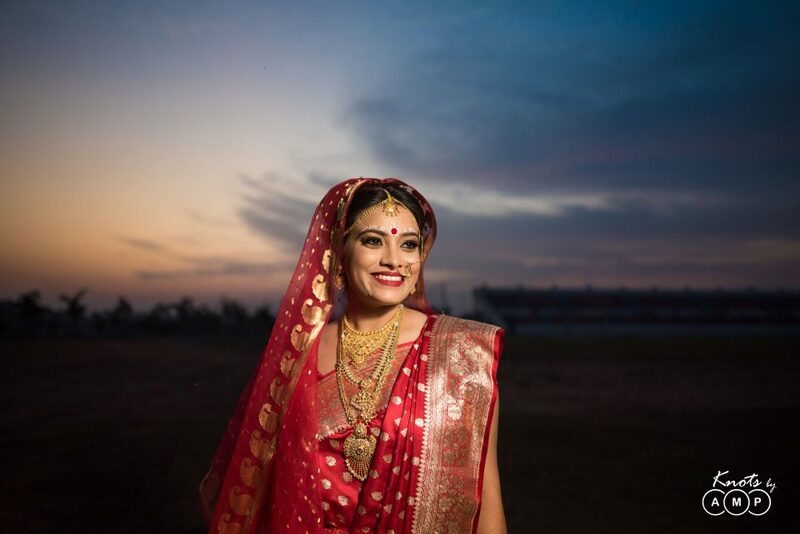 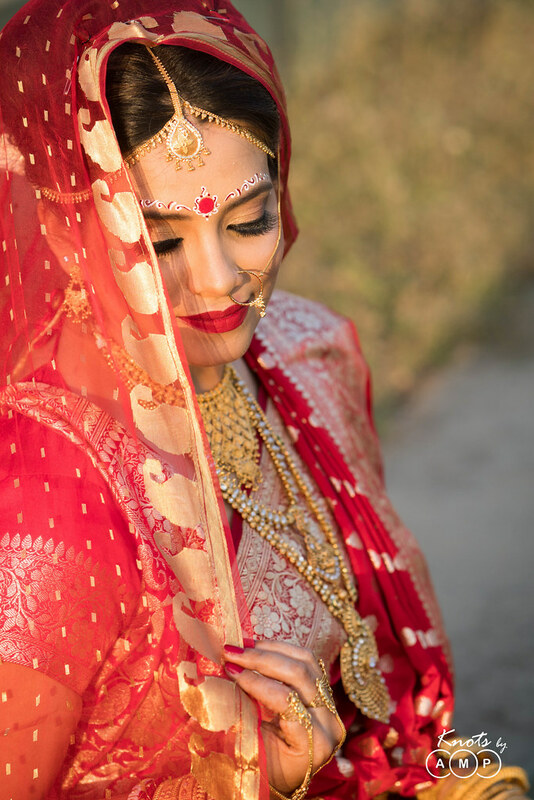 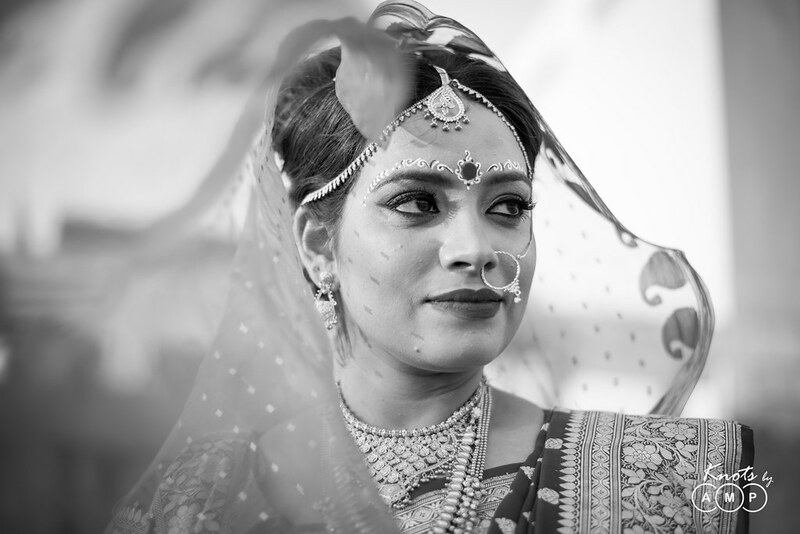 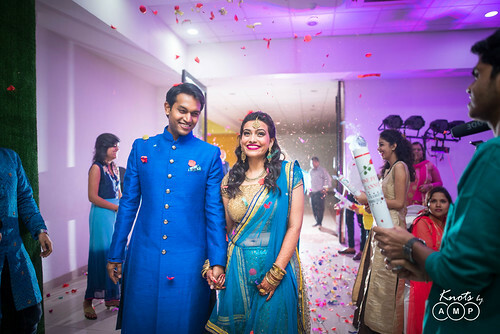 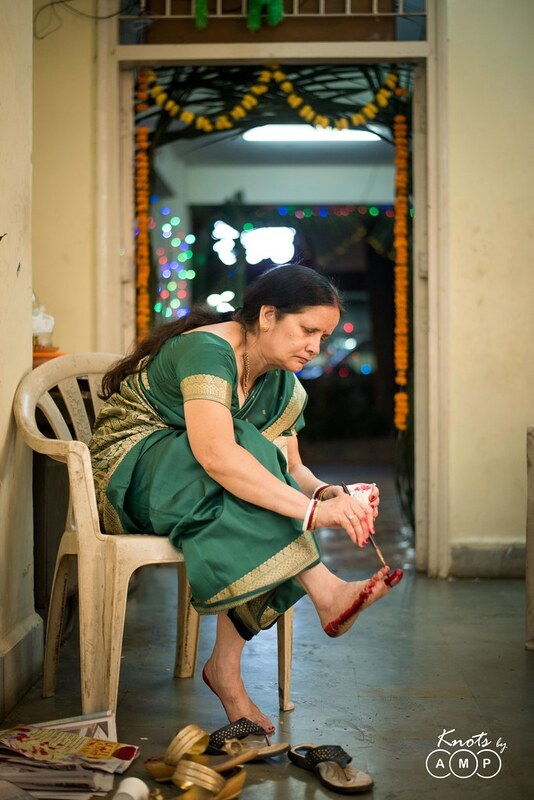 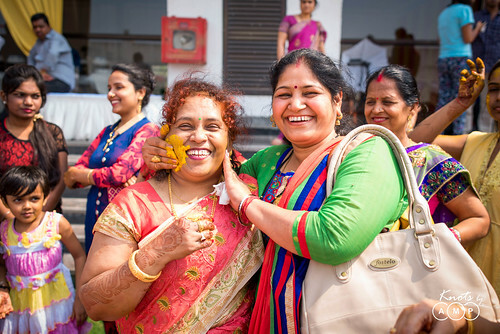 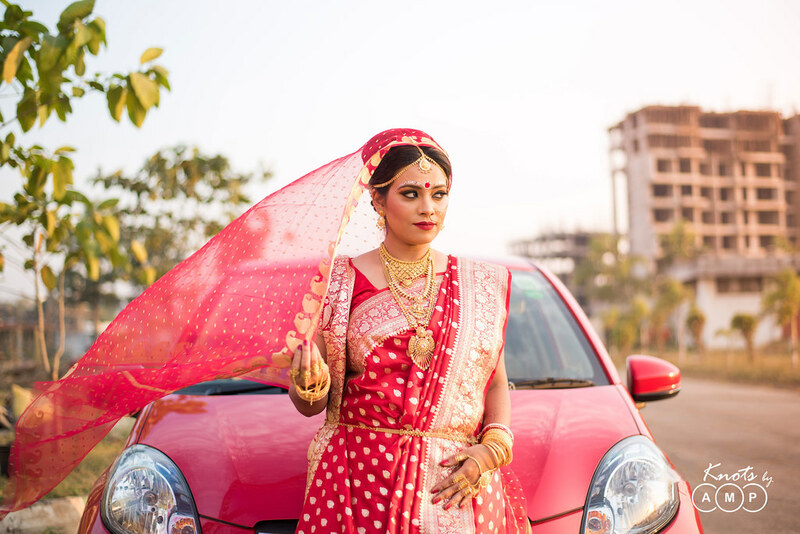 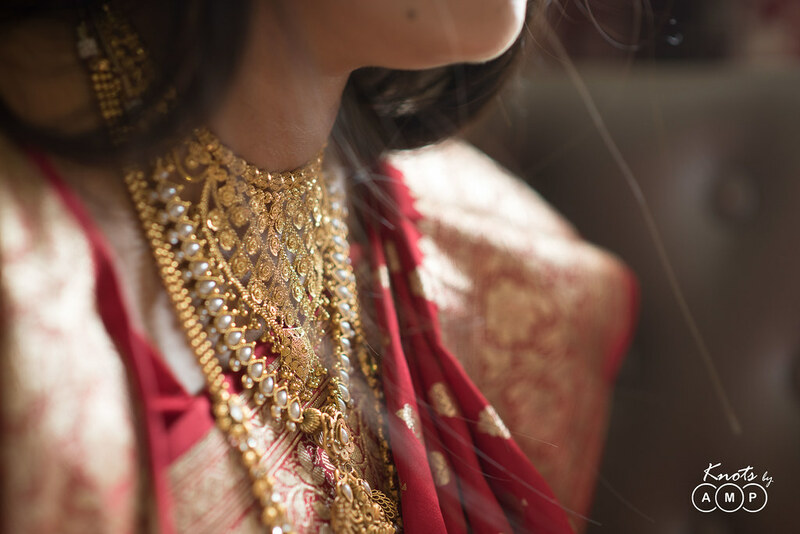 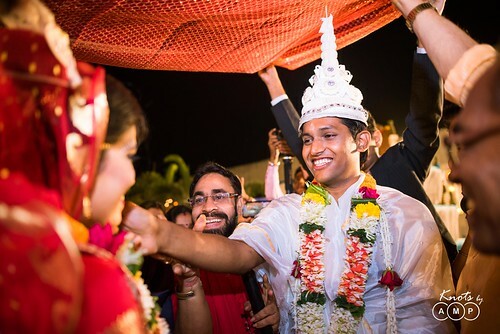 Anupam – Being a wedding photographer, I was quite excited about my own wedding, and I had tons of ideas, but back then Soumi wanted a simple wedding, her only concern was to be dressed as a typical Bengali bride so we went along with what the bride needed. 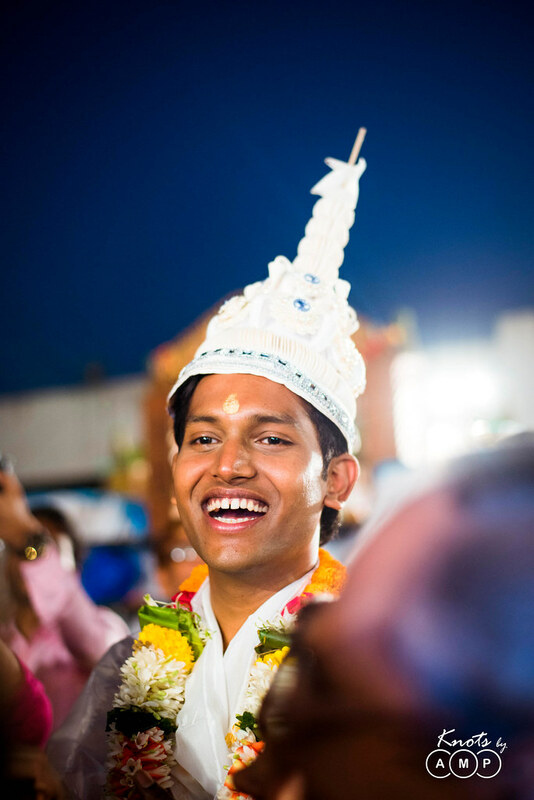 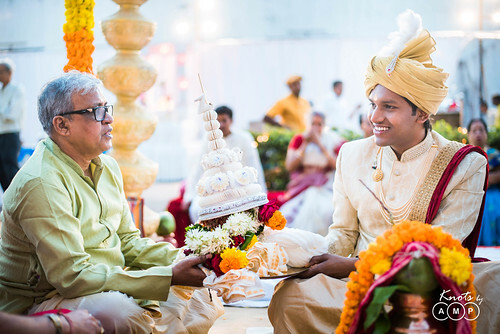 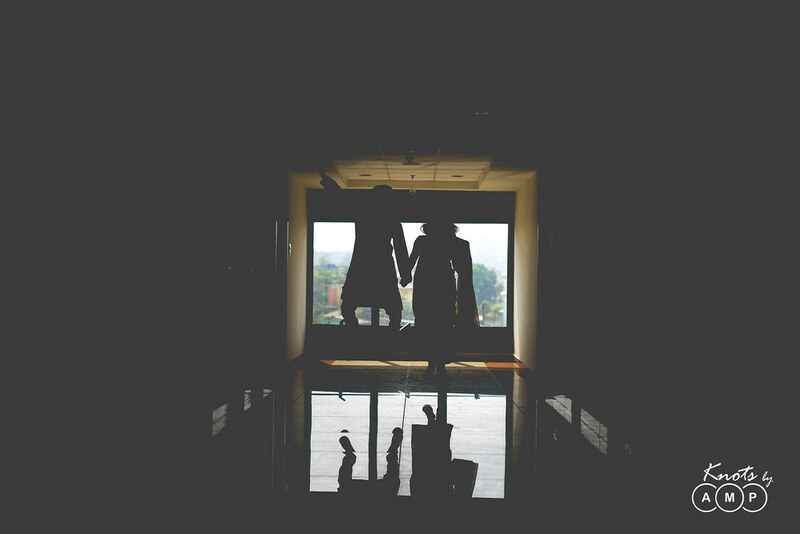 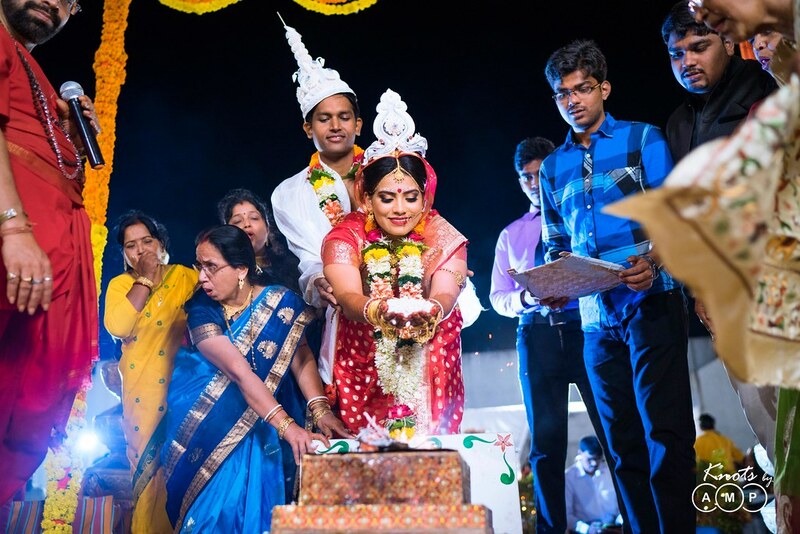 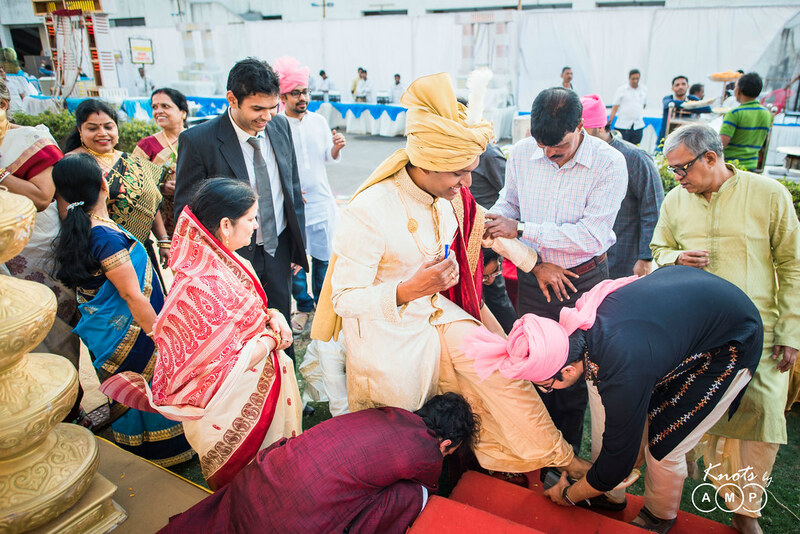 Being the most experienced person with respect to weddings, most responsibilities regarding planning came on to me. 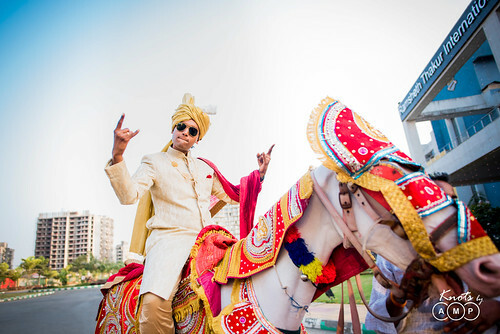 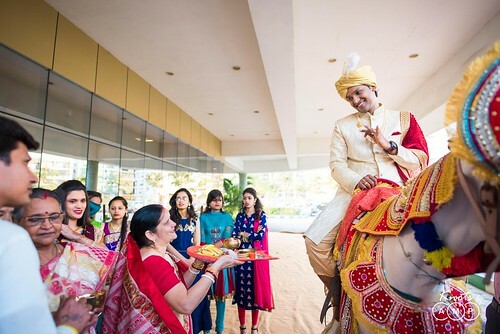 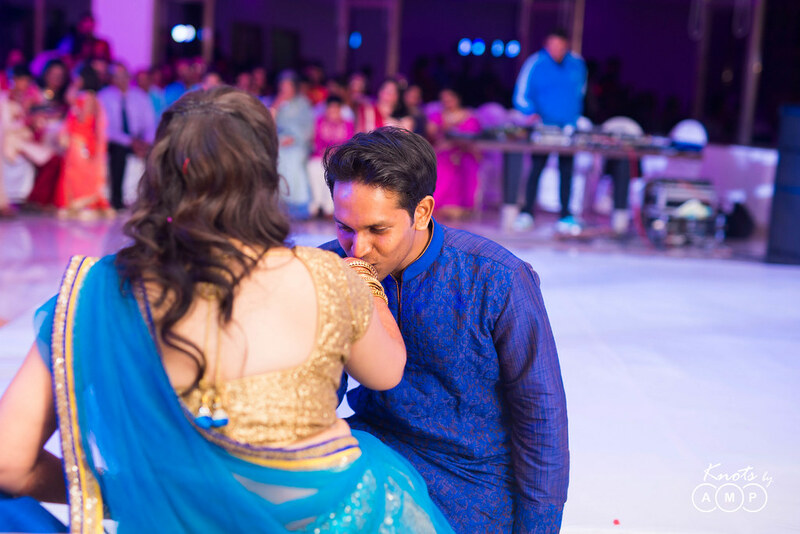 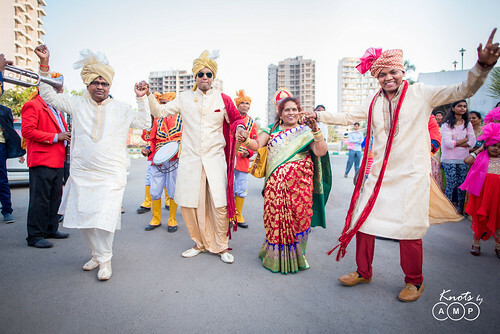 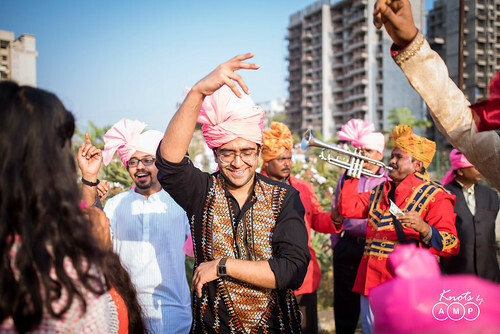 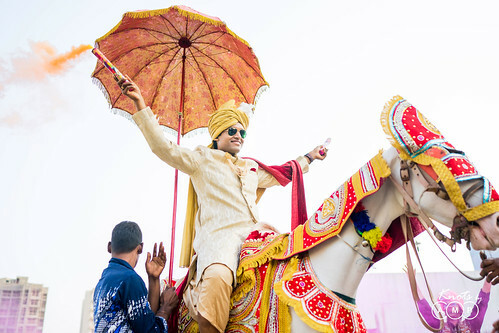 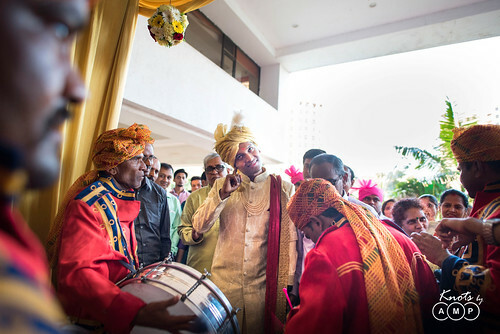 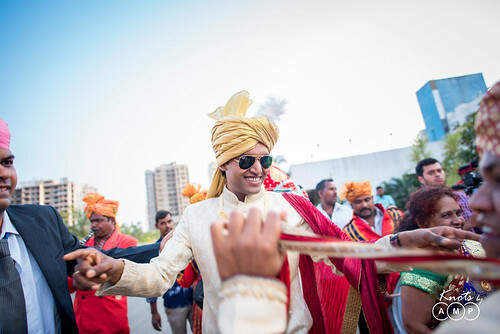 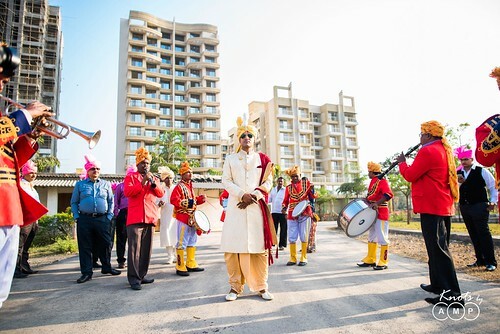 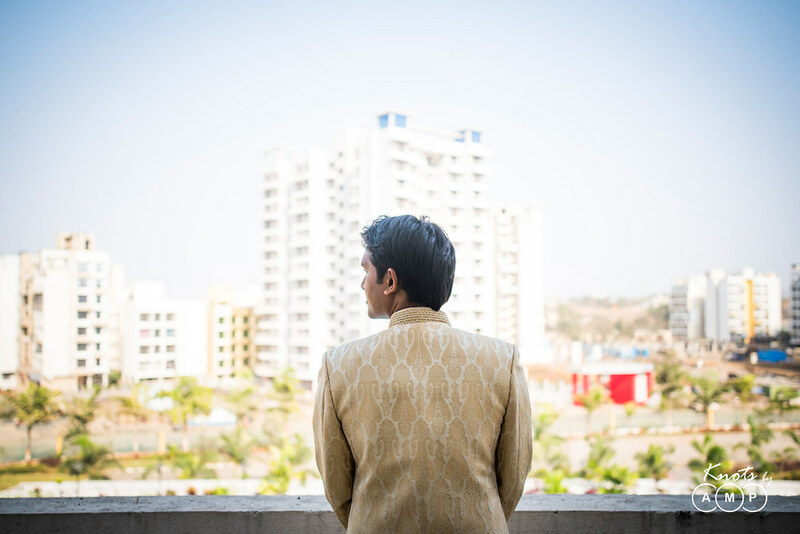 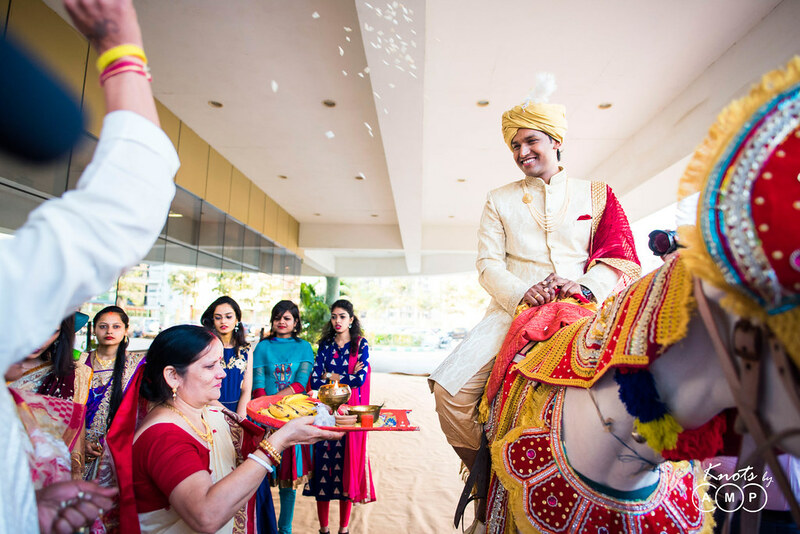 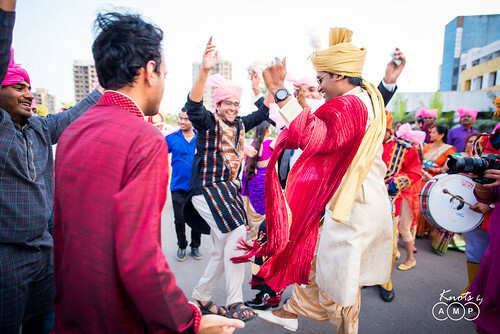 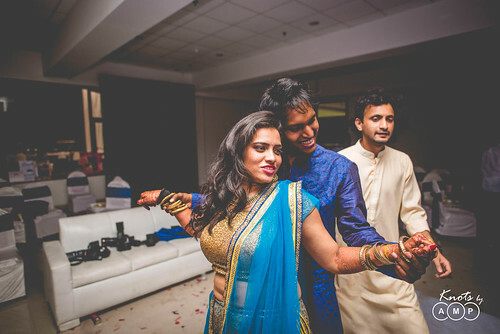 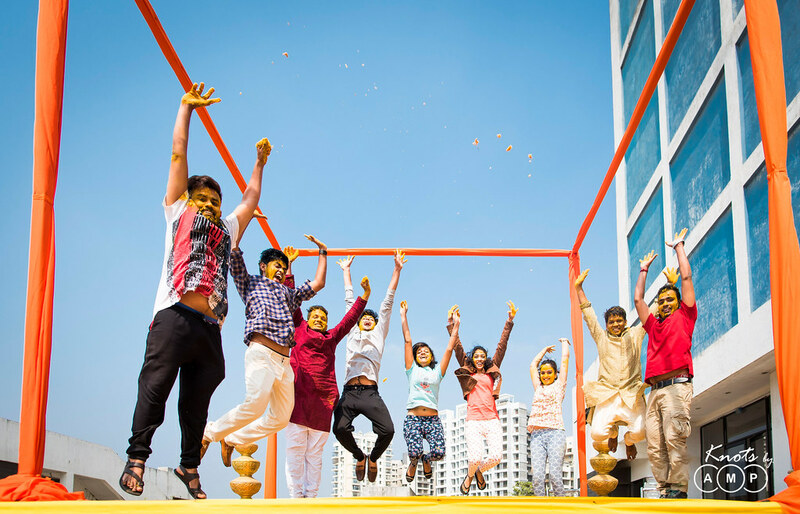 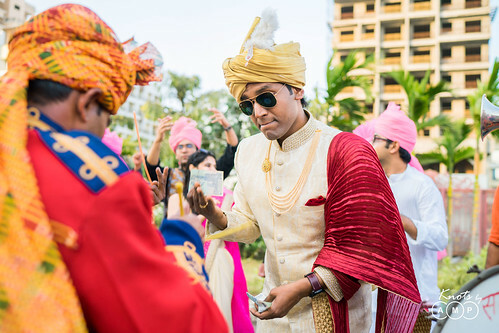 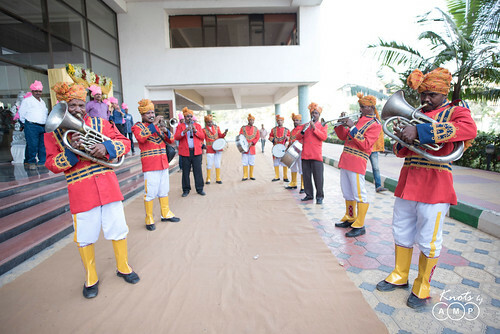 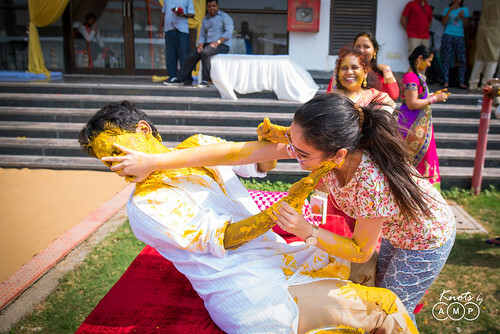 One thing I was clear on was that I wanted both families to stay in the same place for two days and have all the functions in one big venue, so we settled down for a RTISC Sports club in Navi Mumbai, which had ample of choices of having an open-air wedding and also banquets for indoor functions like Sangeet and cocktail. 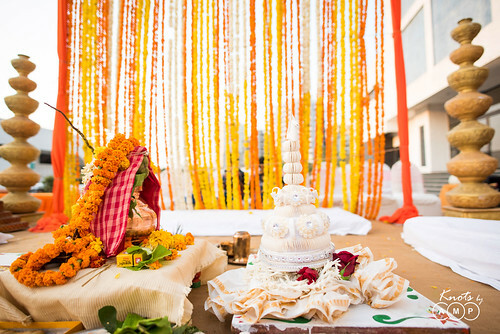 However not all things go as expected in a wedding, and we great problems with the default decorator of the venue. Apart from that we didn’t worry about other things going here and there, and just made sure we enjoy our wedding along with our friends and family. 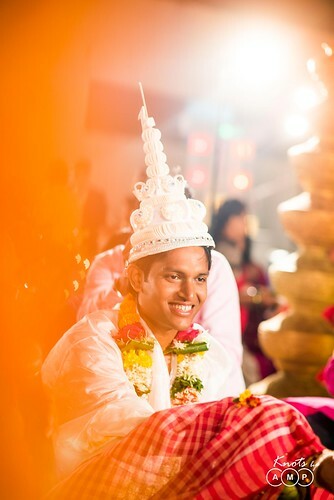 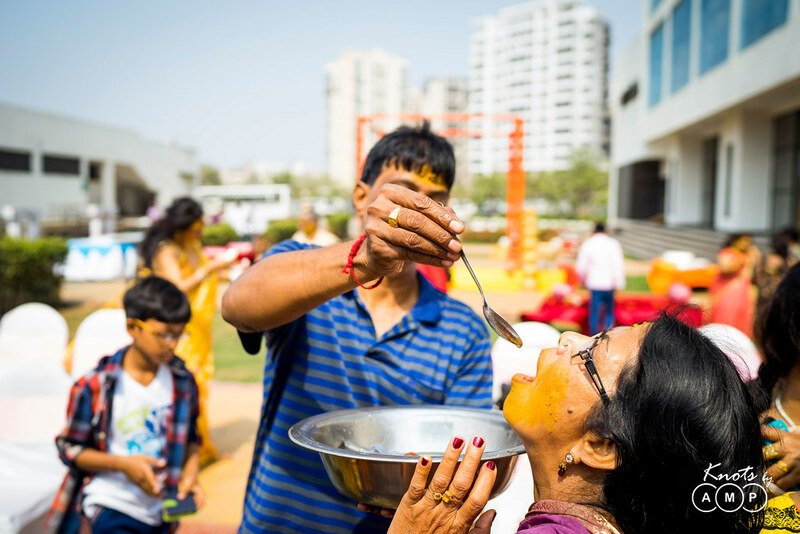 For photography we had our team to care of all aspects. 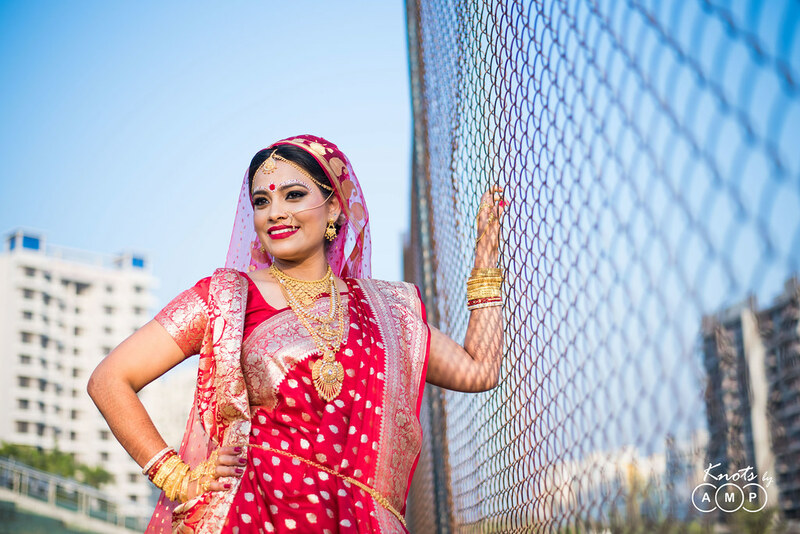 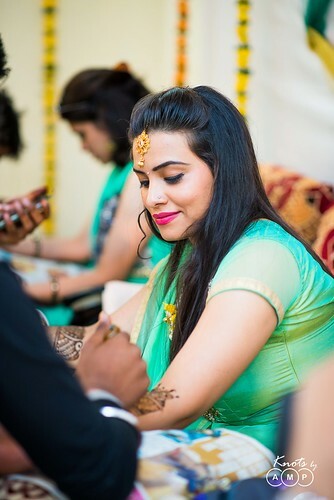 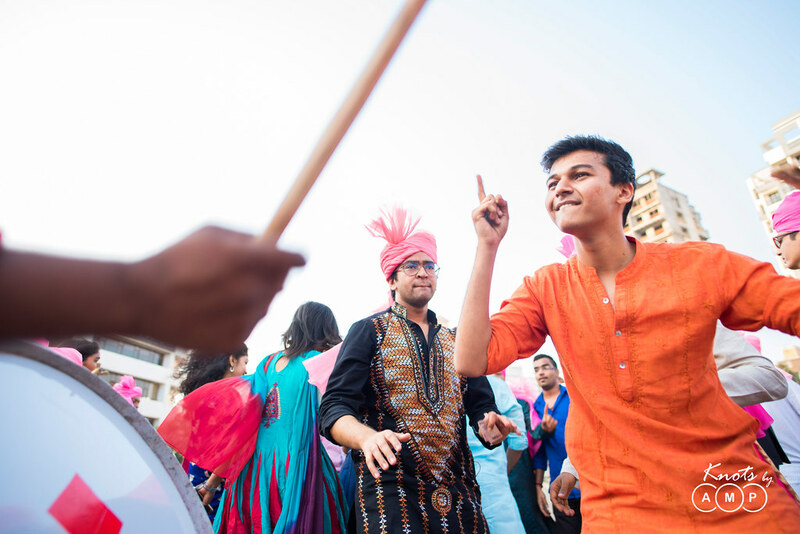 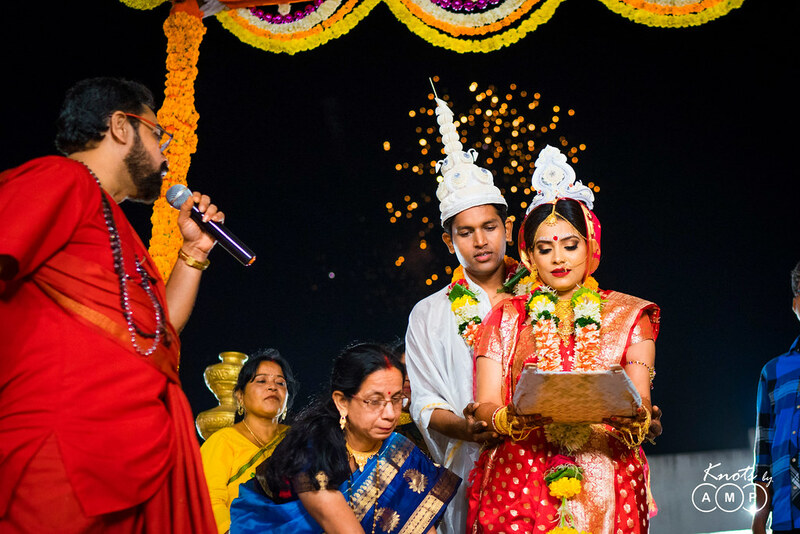 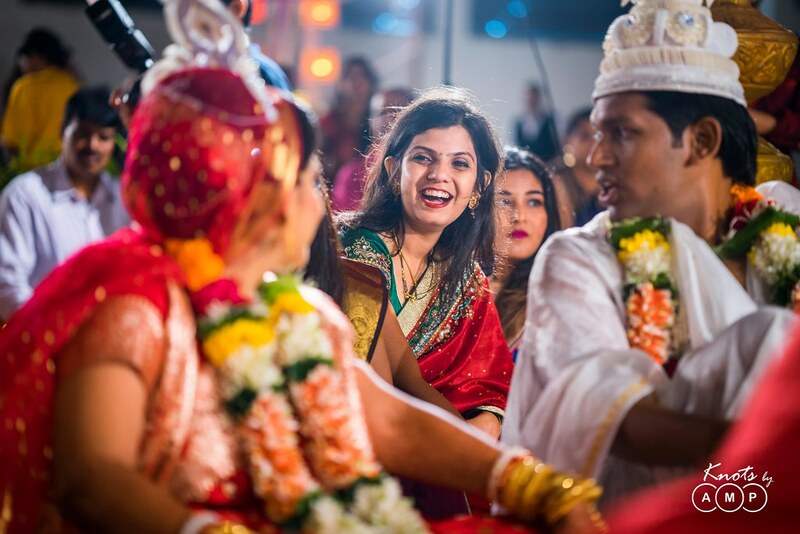 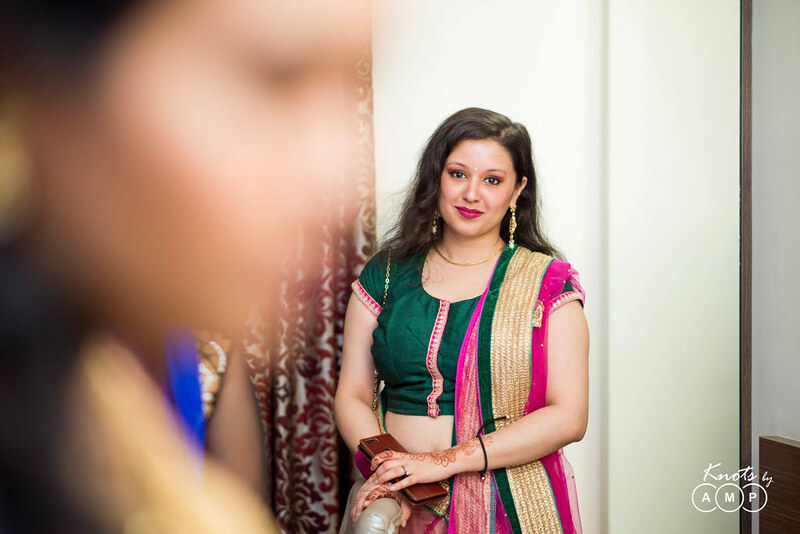 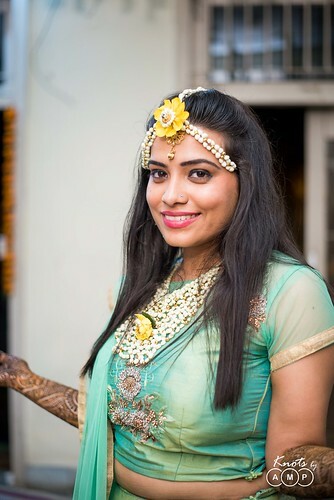 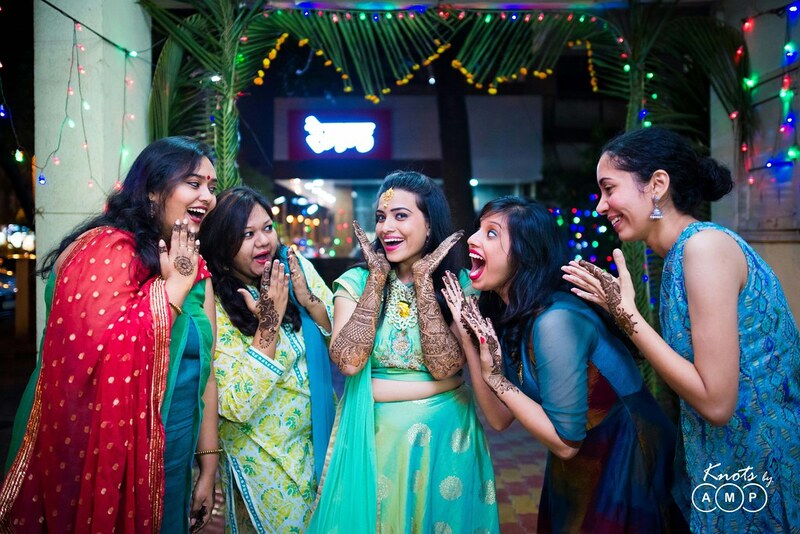 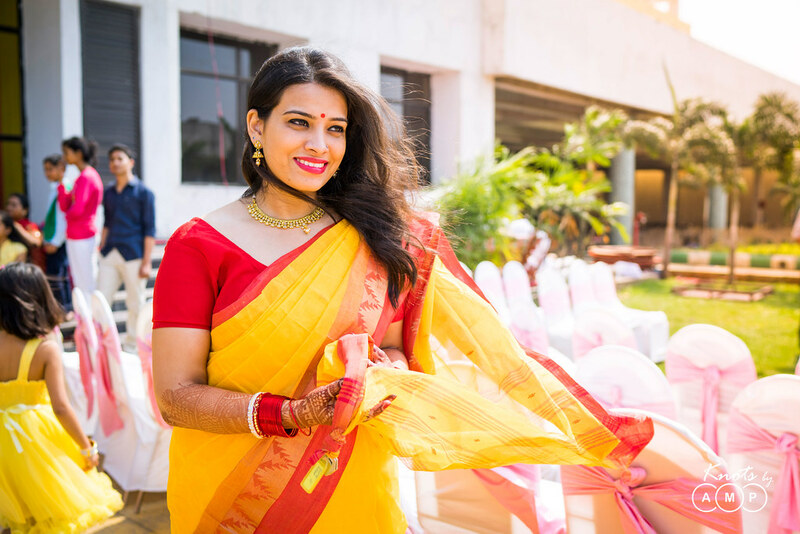 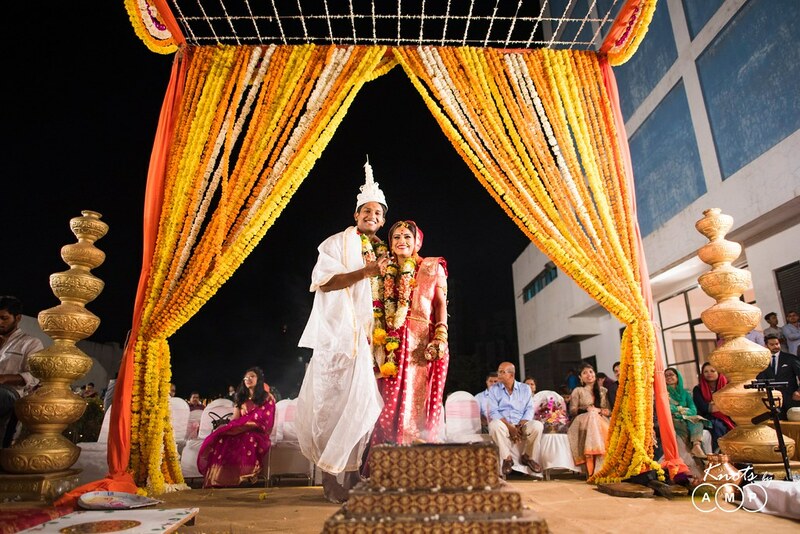 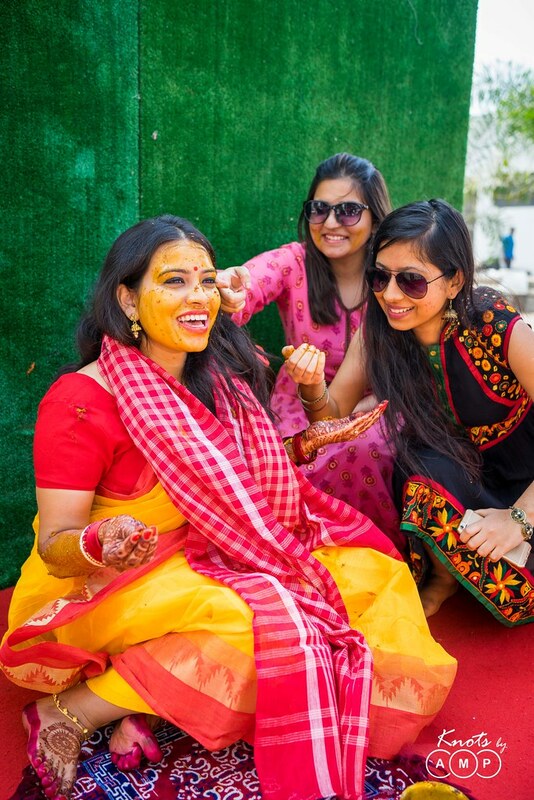 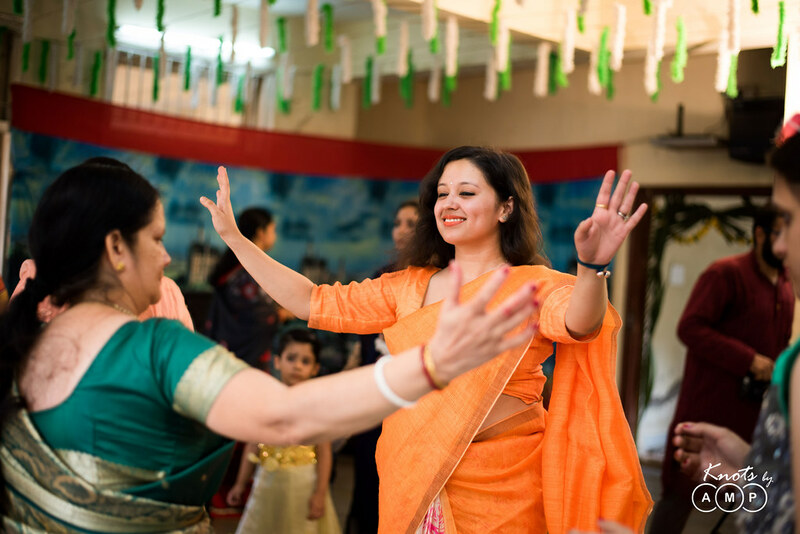 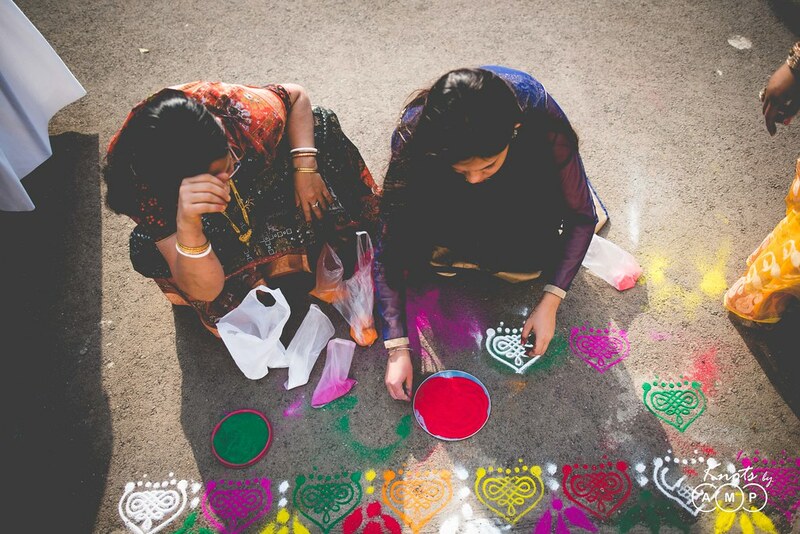 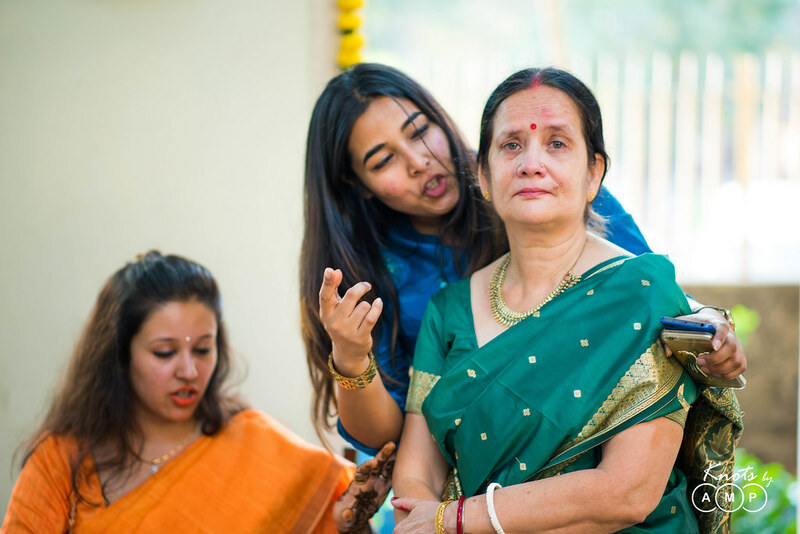 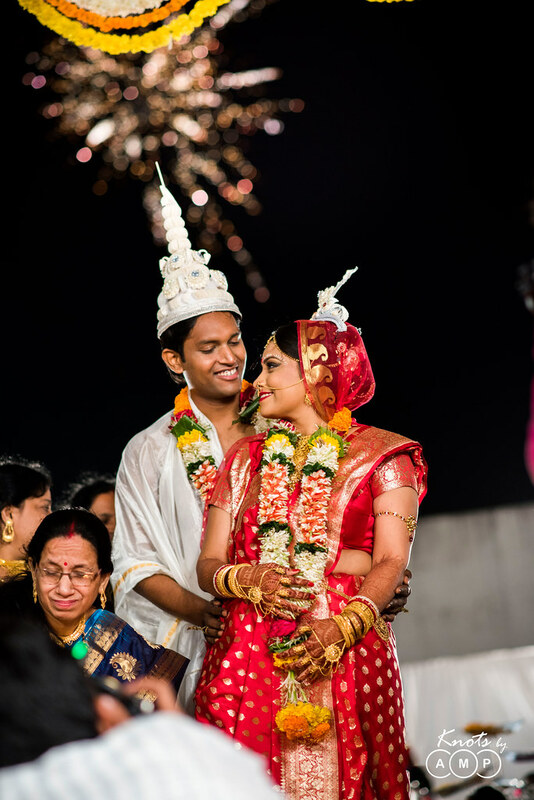 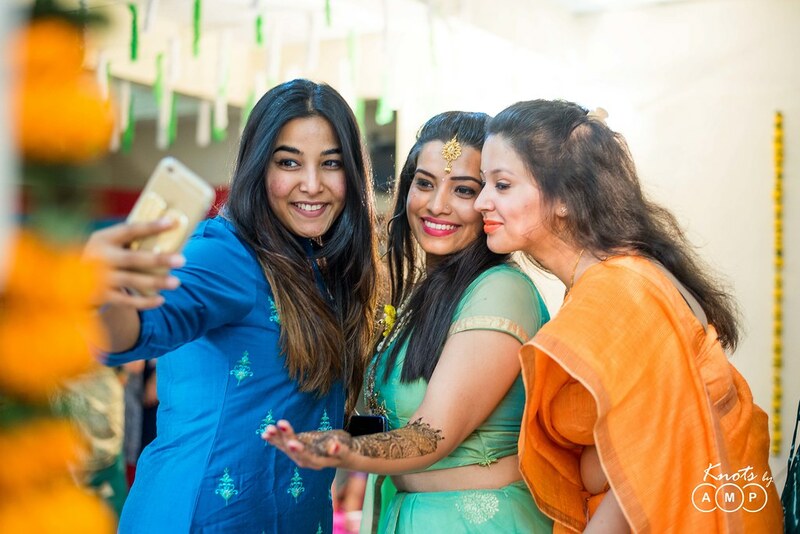 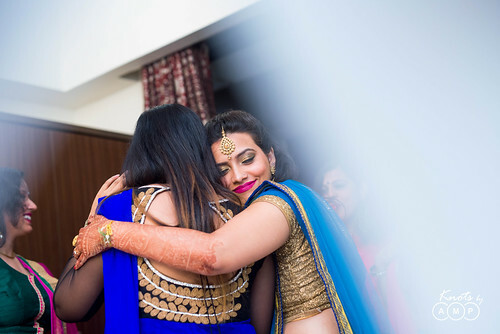 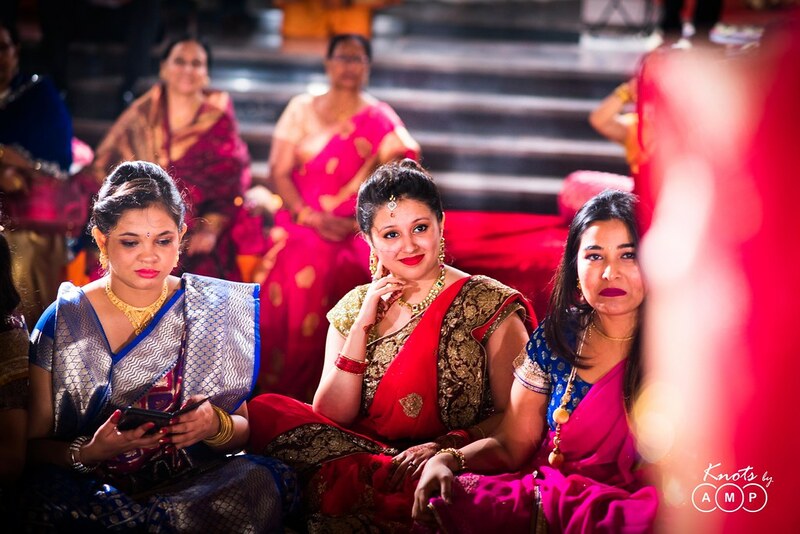 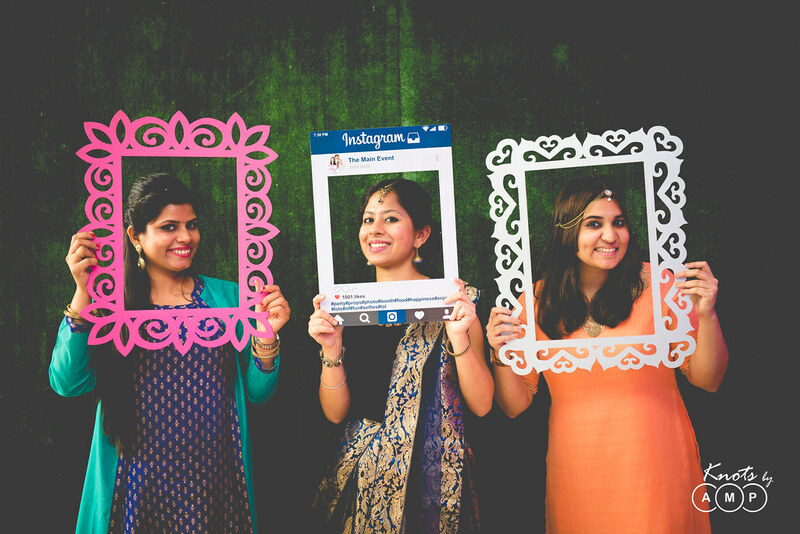 Soumi – I always wanted to be a bengali bride. 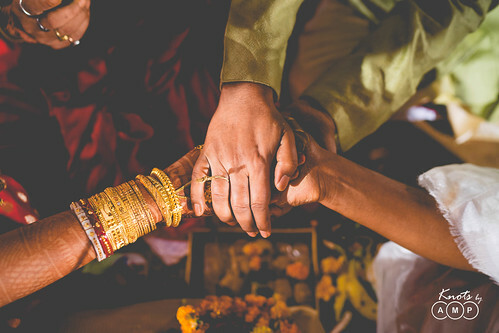 This was a distinct wish right from my childhood. And when the time came, I told Anupam about it. 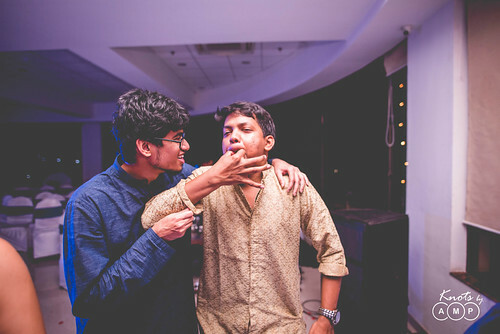 I am really glad that he agreed, or he had no choice either (laughs)! 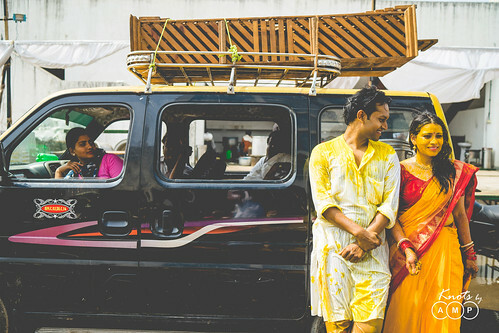 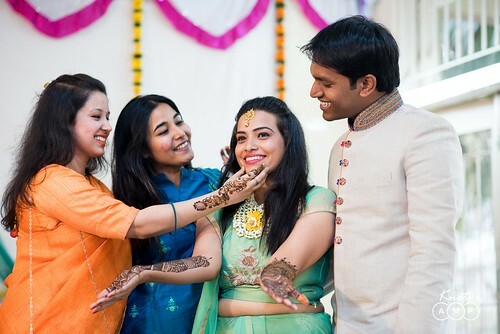 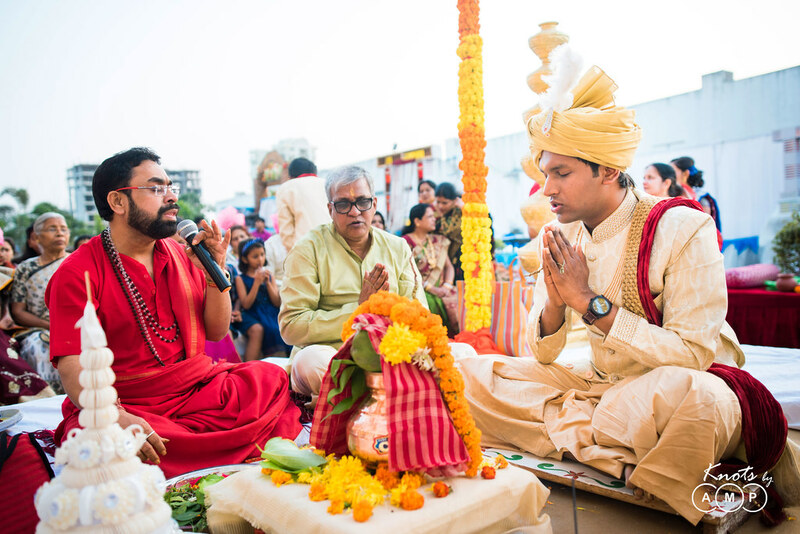 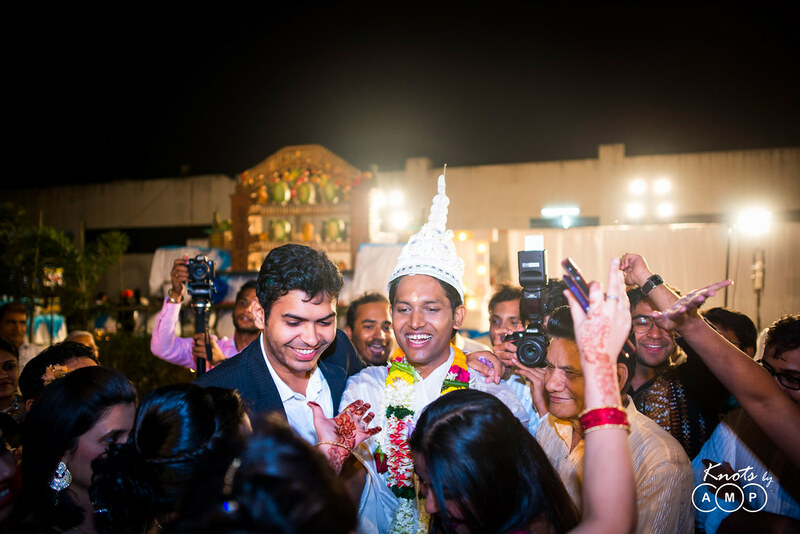 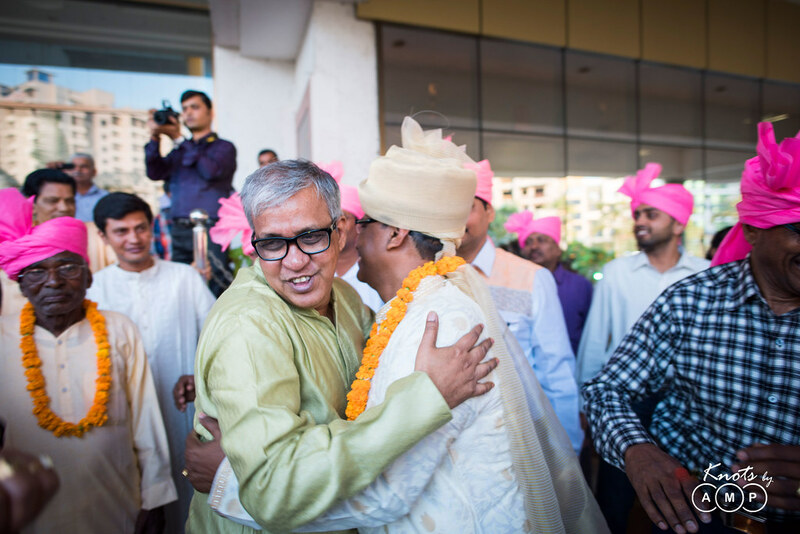 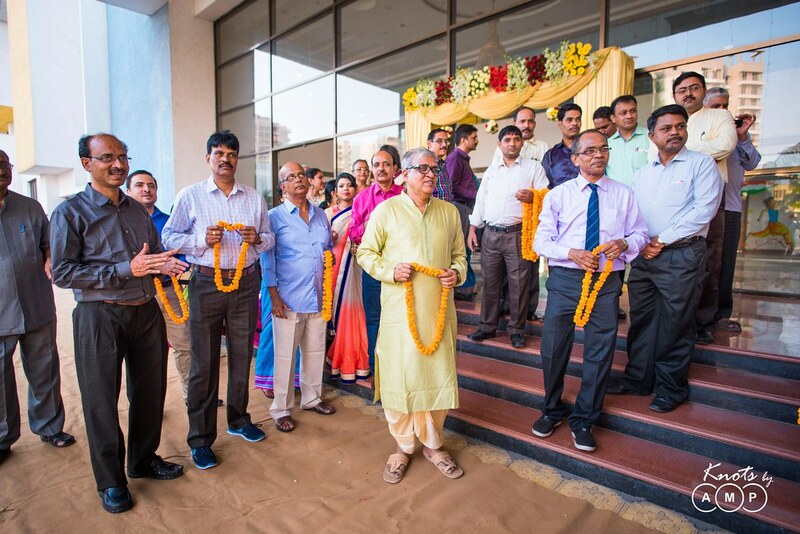 We also agreed on having a single wedding (rather than two, Bengali and UP wedding in our case). Luckily, both our parents agreed as well. 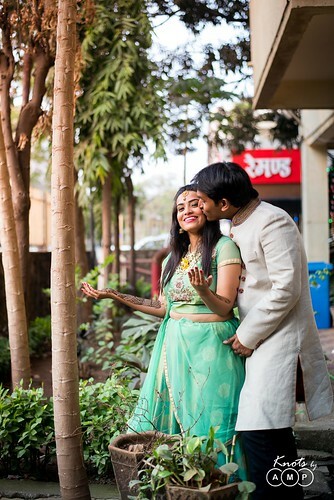 Then started the real wedding planning. 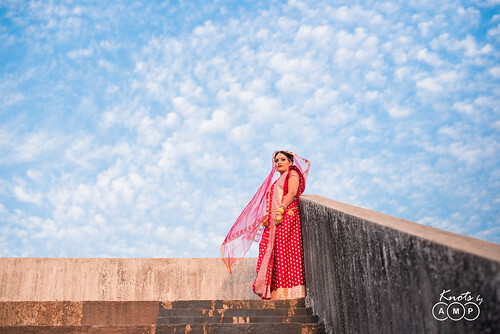 I was lucky about the fact that I didnt have to worry about the photography & cinematography. 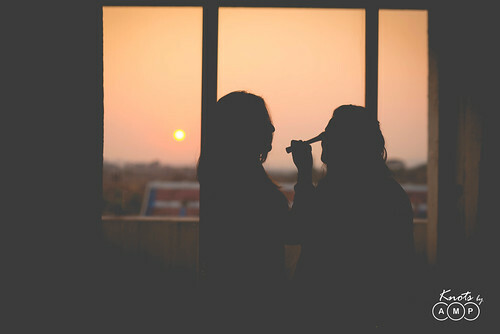 So for me the major lookout areas were the makeup & clothes. For makeup, I booked Ishwari from Ish Bridal Make Up. 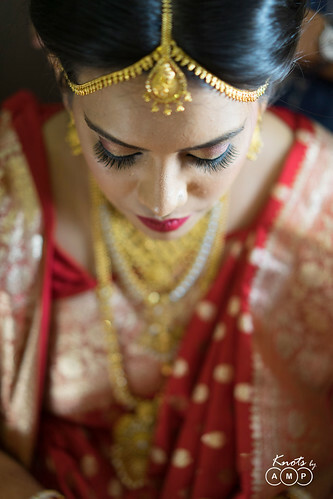 Bengali brides have this typical forehead design, and the fact that she had covered bengali brides before gave me a lot of comfort. And she did a fabulous job! 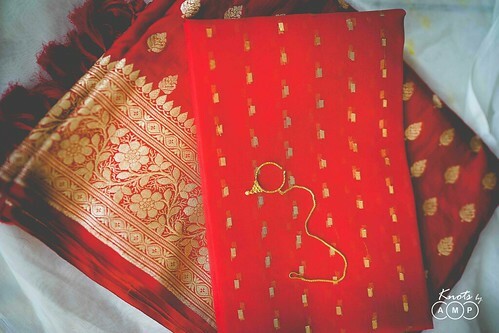 For my wedding attire, I wanted the red benarasi saree and we got that from Paneri, Dadar. 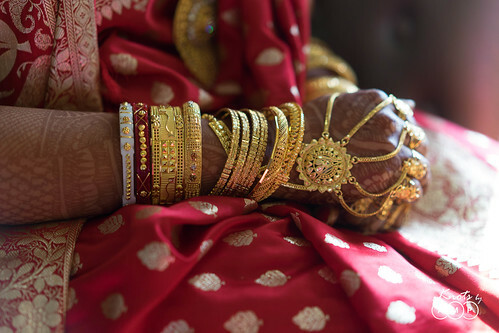 I wanted a saree because time and again, I can wear it and cherish the wedding memories forever. 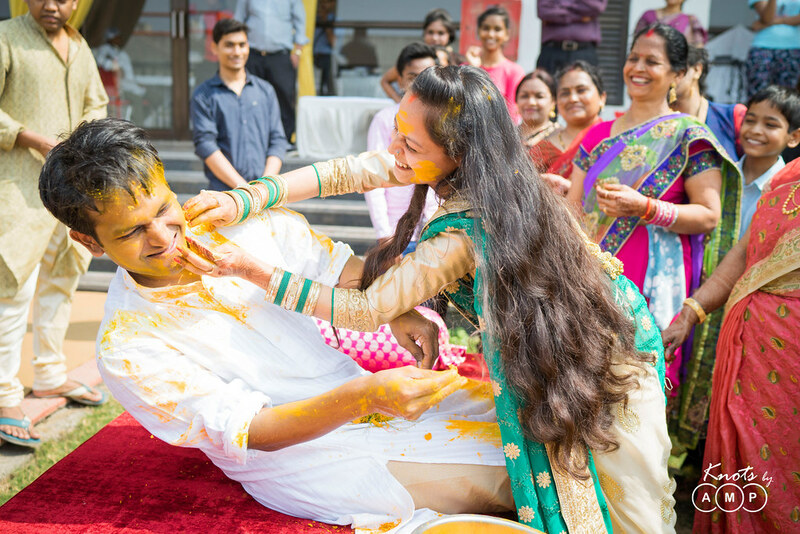 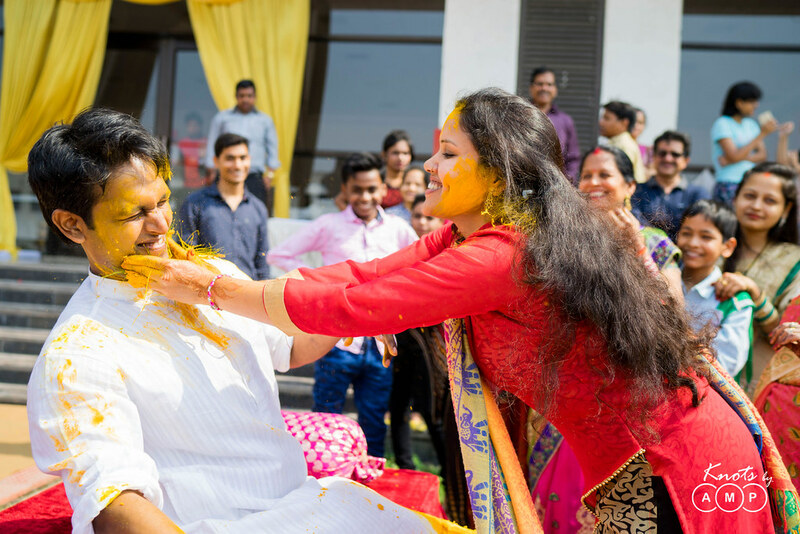 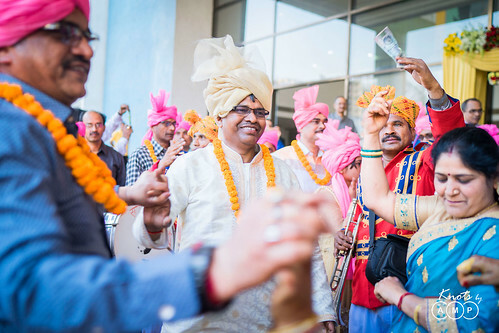 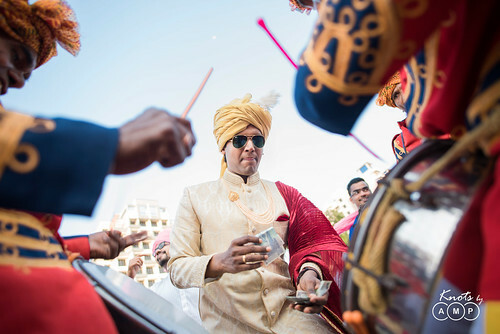 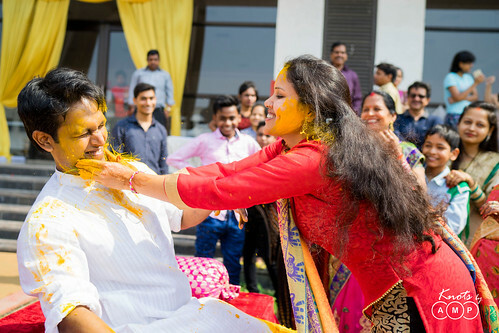 The wedding days passed away in jiffy, but one thing which me and Anupam ensured was to have a lot of fun and that’s exactly what has been captured in the photographs. 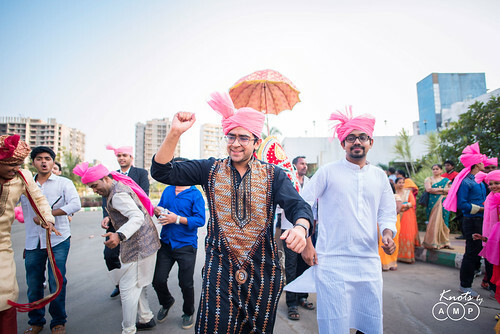 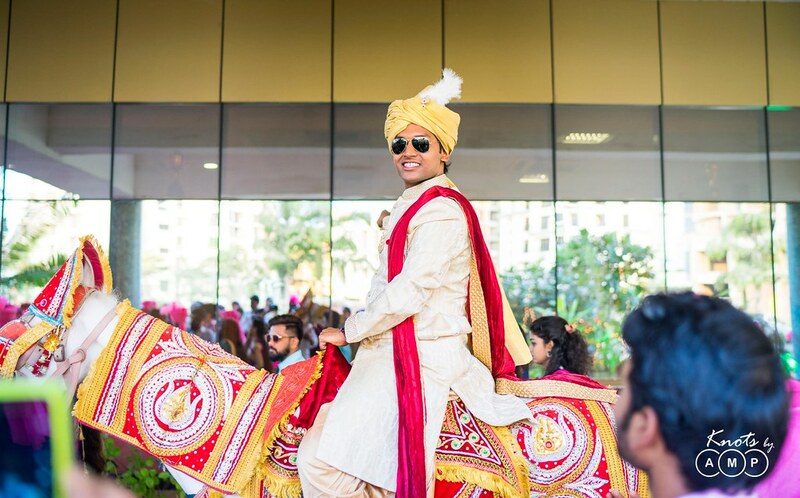 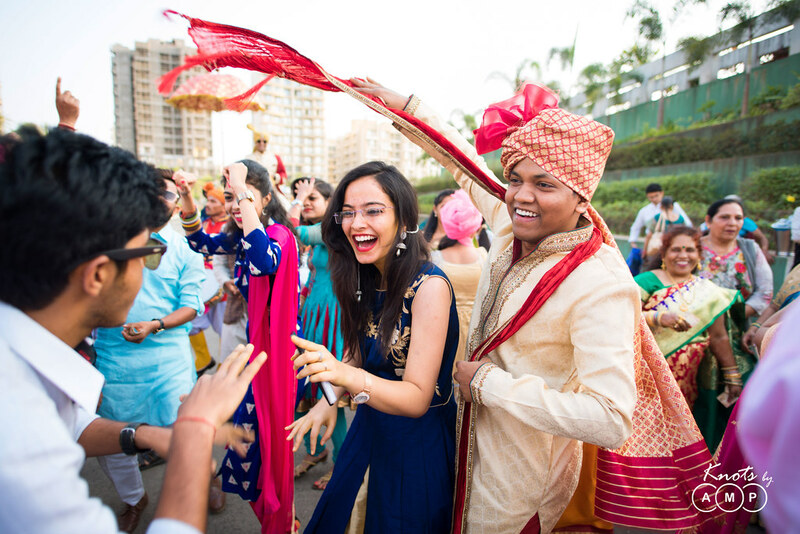 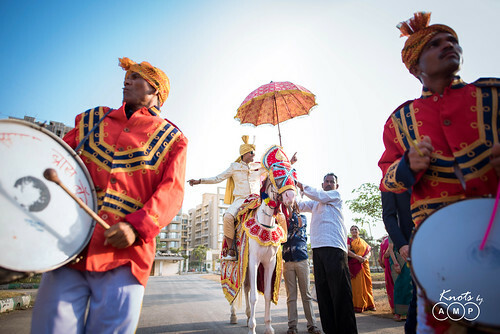 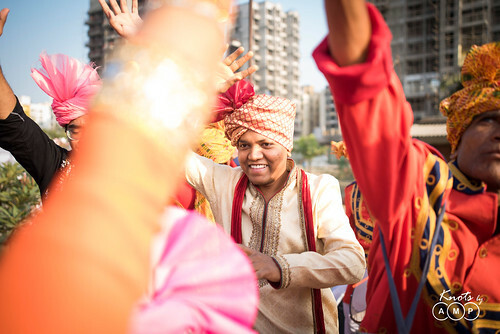 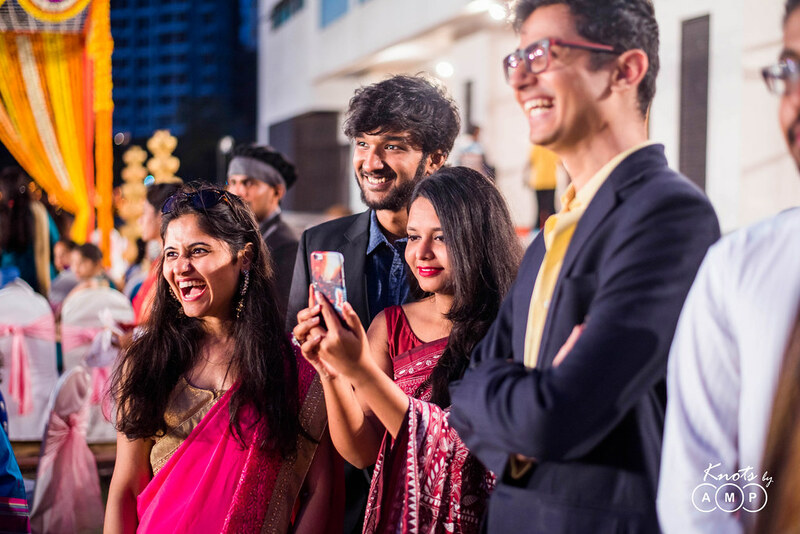 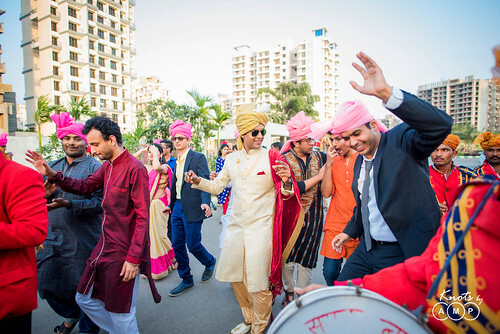 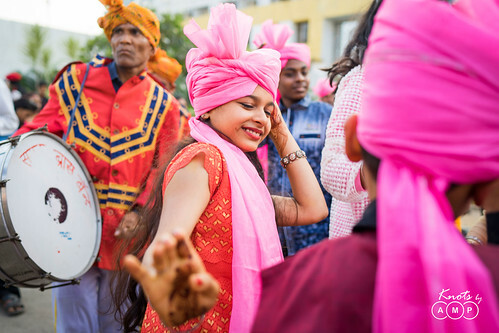 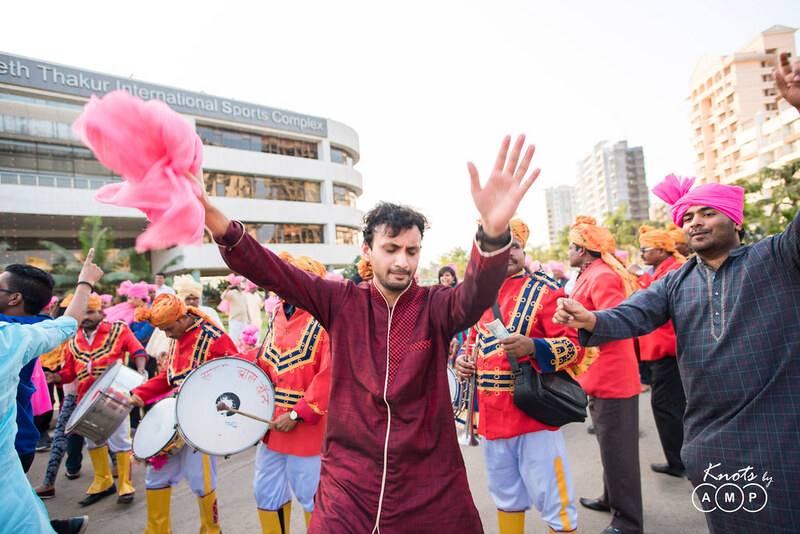 Not only us, but our friends, families and the relatives let their hair down and totally enjoyed the wedding at RTISC Sports Club in Ulwe, Navi Mumbai. 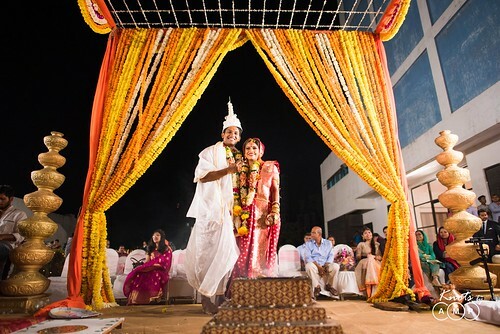 And when I saw the photos and the wedding film, I literally cried, out of happiness. It was overwhelming in every way. 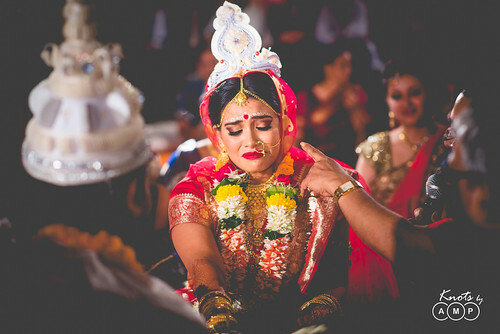 You actually get to know the wedding emotions when you see your own wedding photos and film. 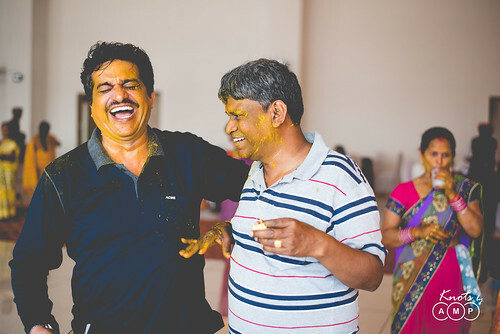 That joy is different, like living the day through the photos & film.  And I am really lucky that Team KnotsbyAMP led by Pratik did such an amazing job! 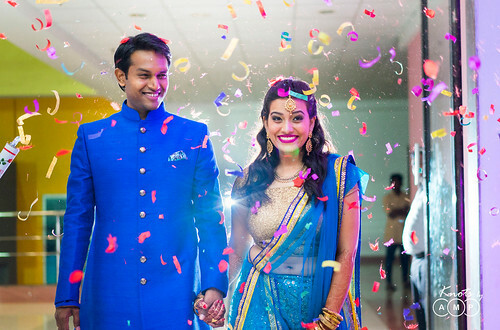 Before you proceed for the photos, watch our small lil film – Love By Chance!